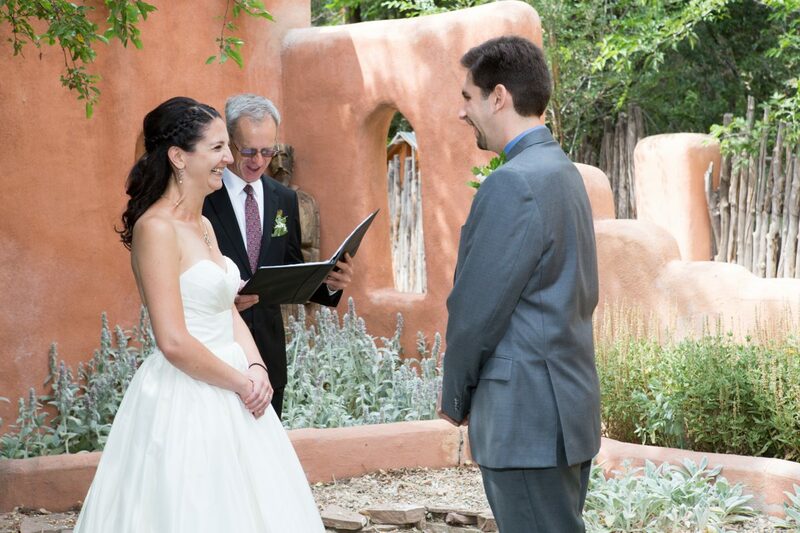 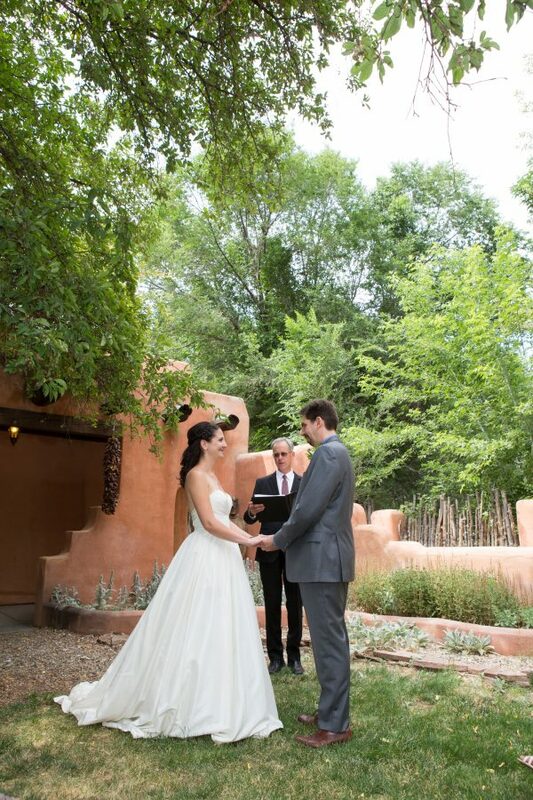 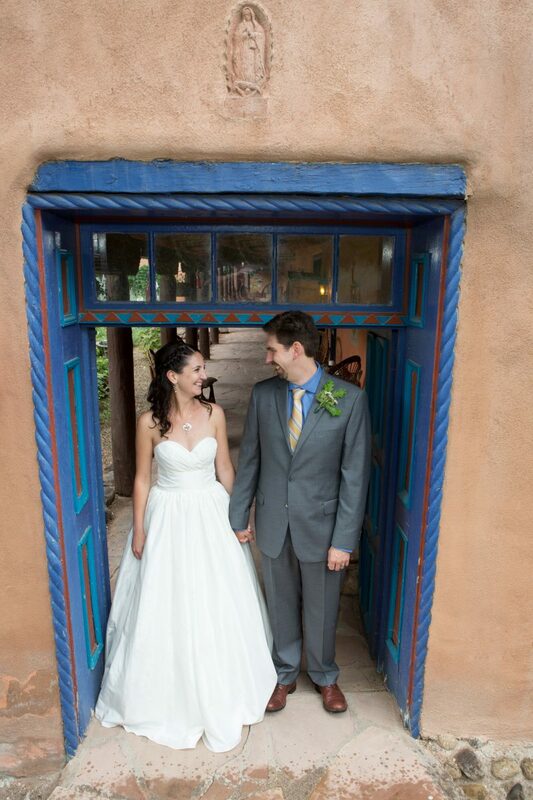 This darling Taos Inn, Adobe and Pines, is an awesome place to get married. The architecture and gardens are a lovely example of that “Taos charm” that is often talked about by the people who visit. 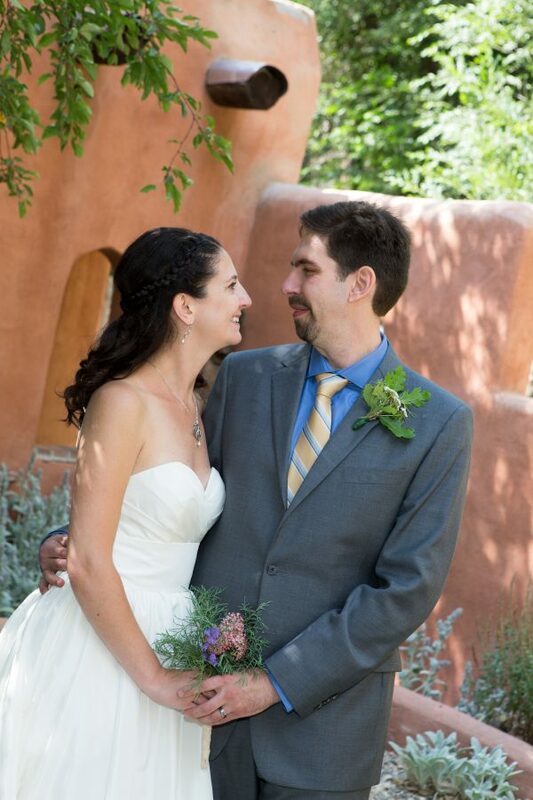 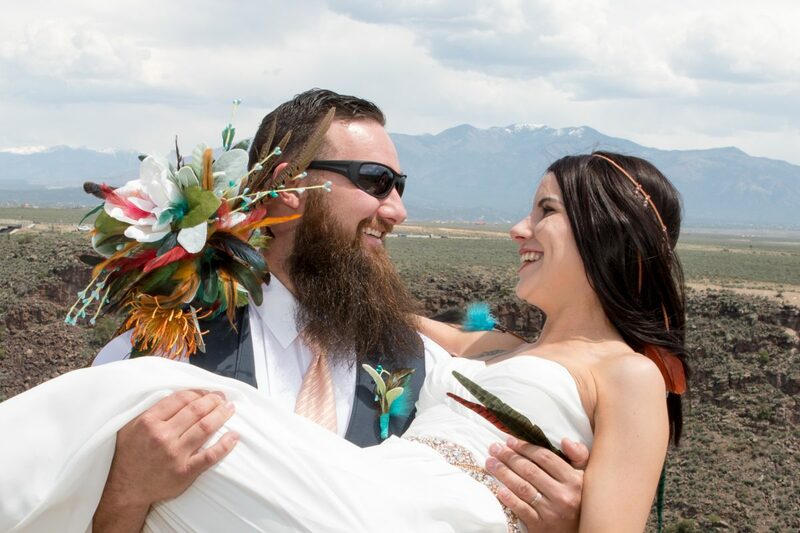 This couple came from Wisconsin to Taos, NM for their destination wedding. 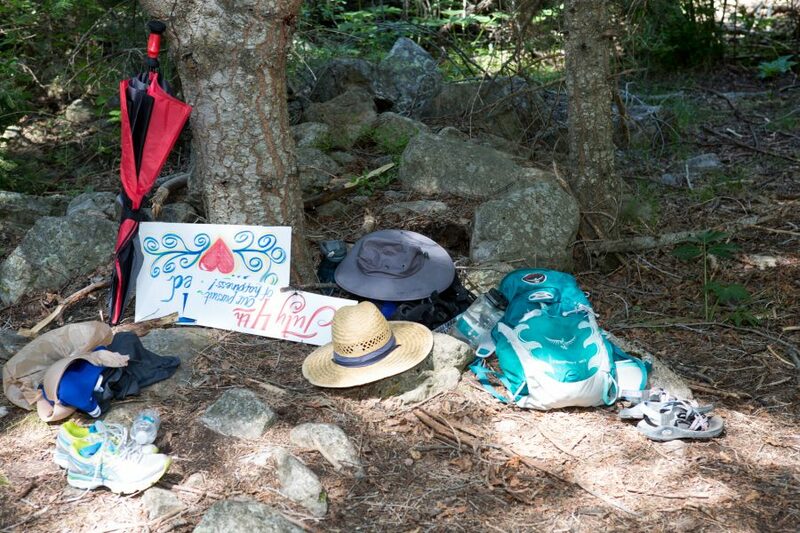 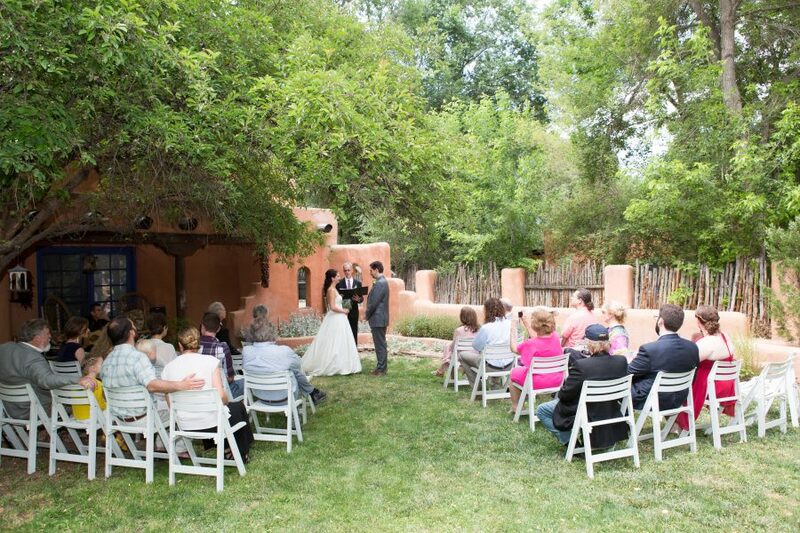 The July monsoon kissed their wedding event momentarily and guests took shelter under large pine trees. 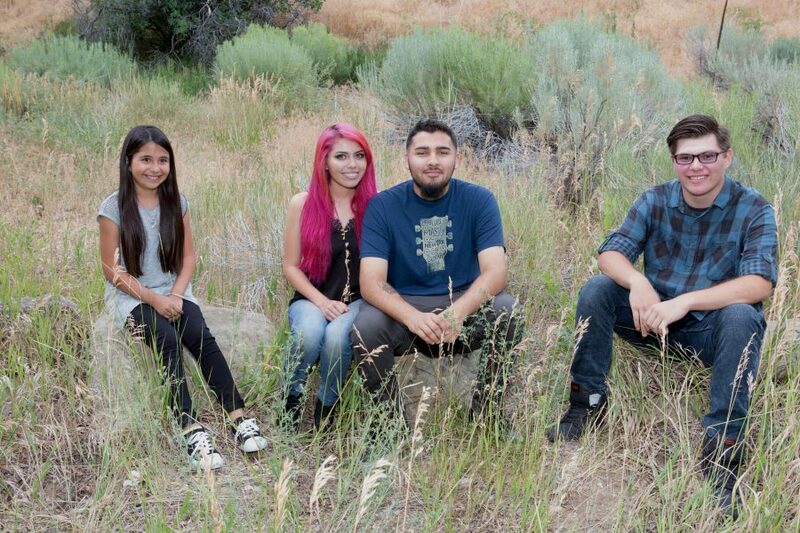 Everyone (and my equipment) stayed dry. 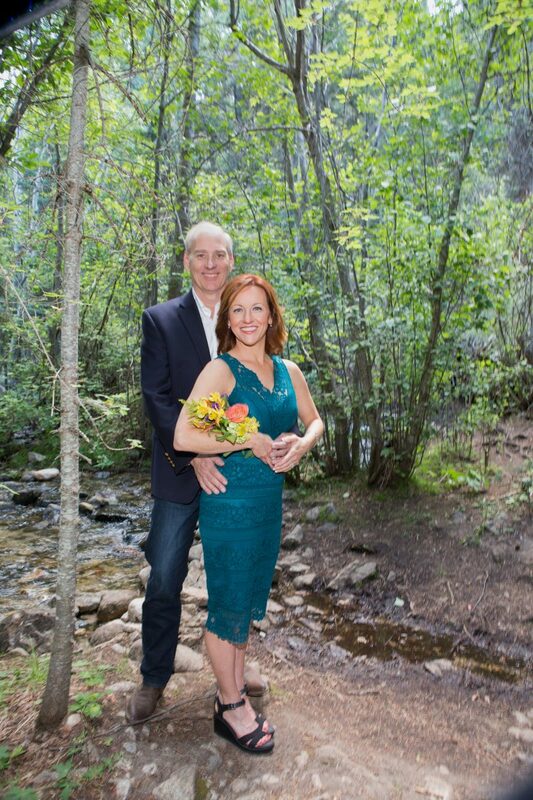 I hear it is good luck to have it rain on your wedding day. 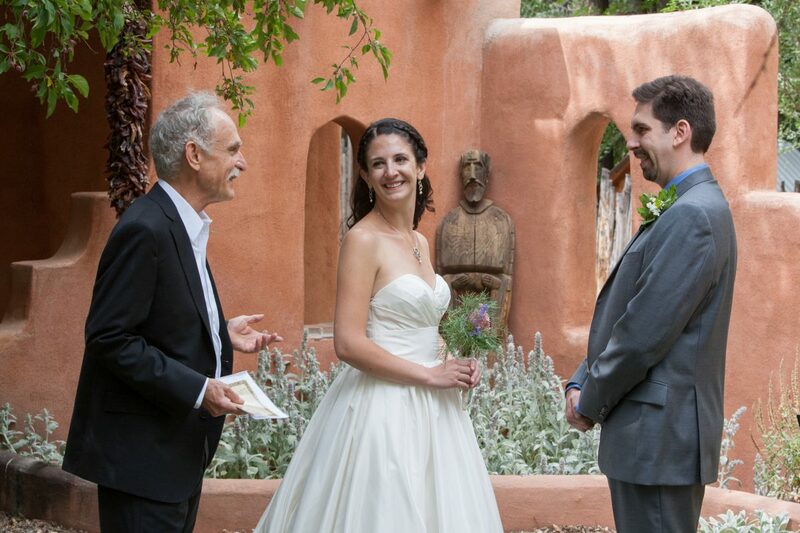 Claire and David were married in the courtyard with a wooden St. Francis overlooking the ceremony. 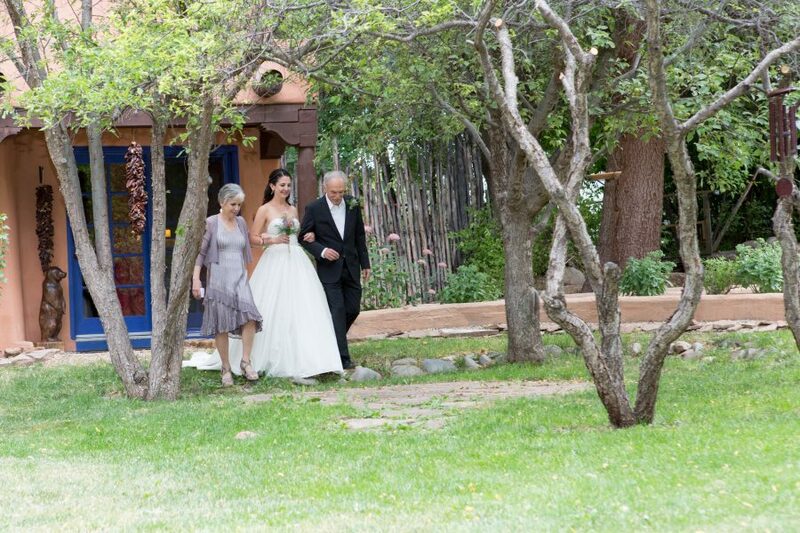 The labyrinth is an equally beautiful place to be wed at this venue. 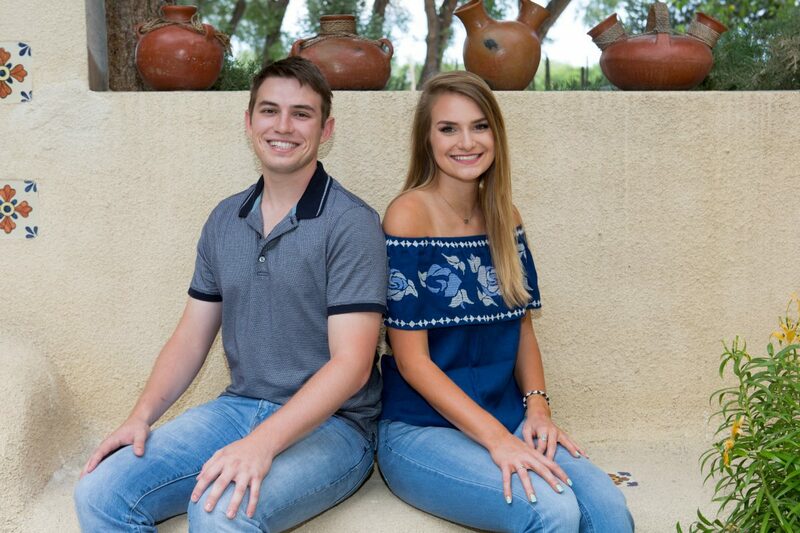 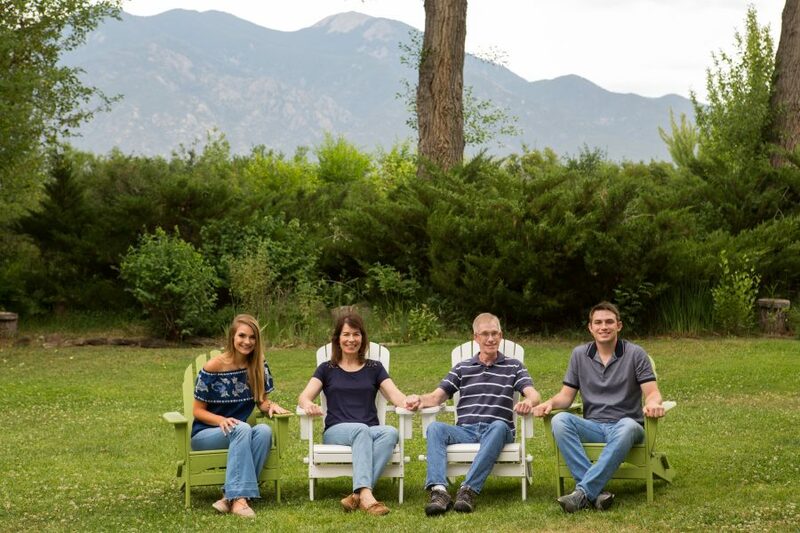 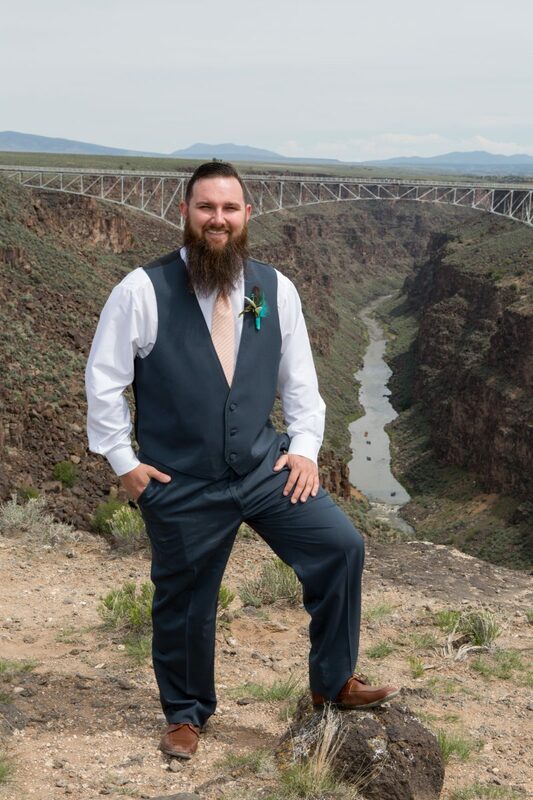 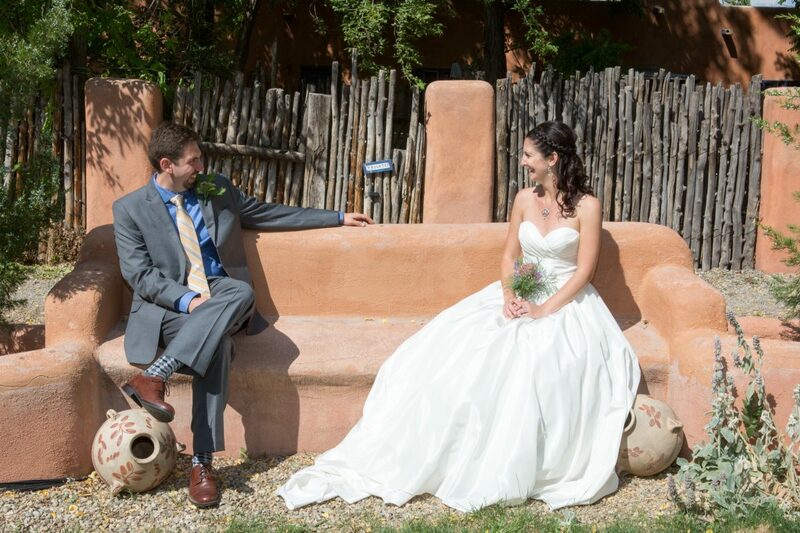 Jordan and Luke are both native to Taos, so when they get married they plan to have a giant wedding (oh those large New Mexico weddings)!! 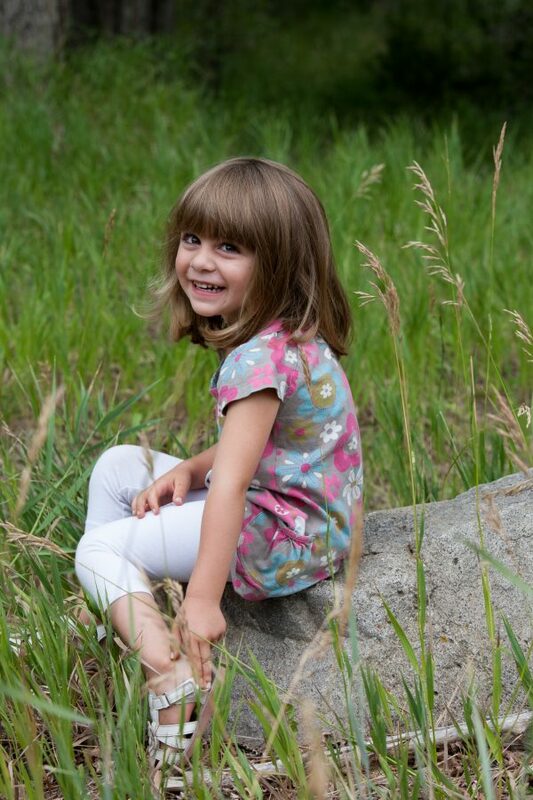 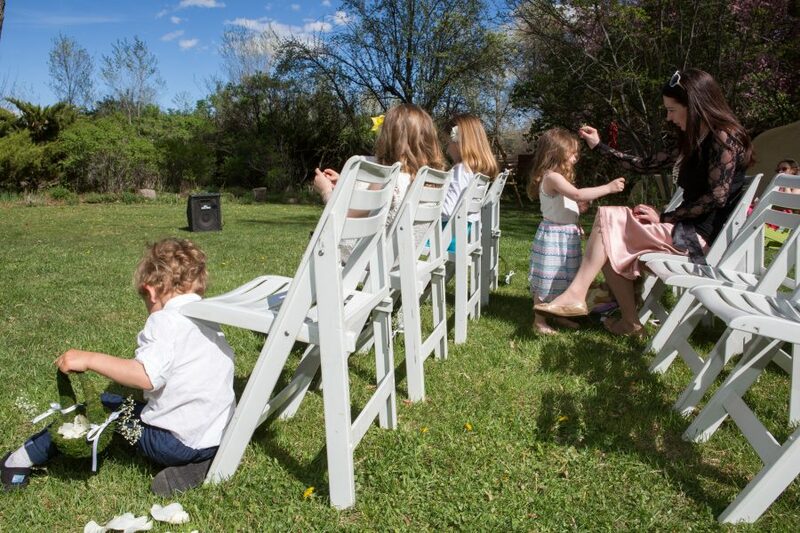 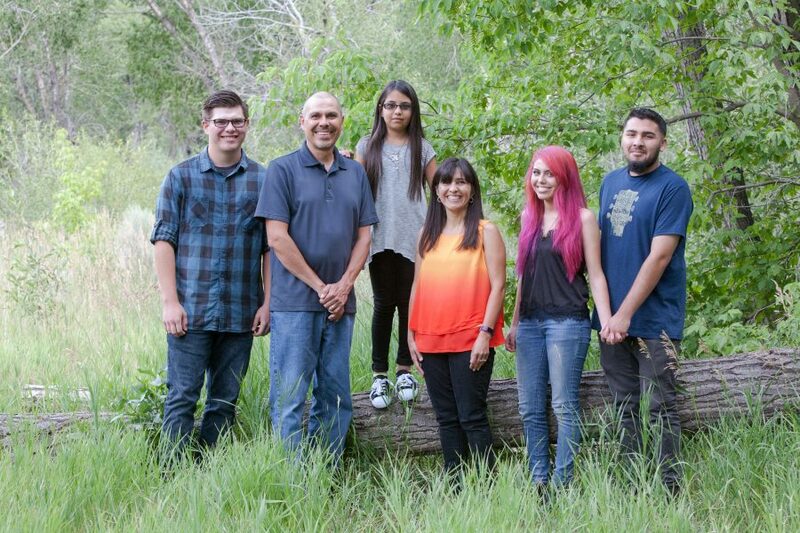 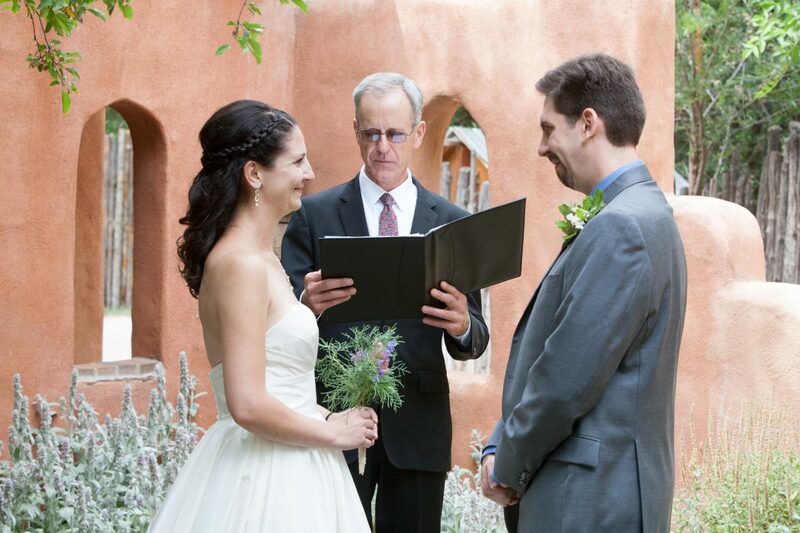 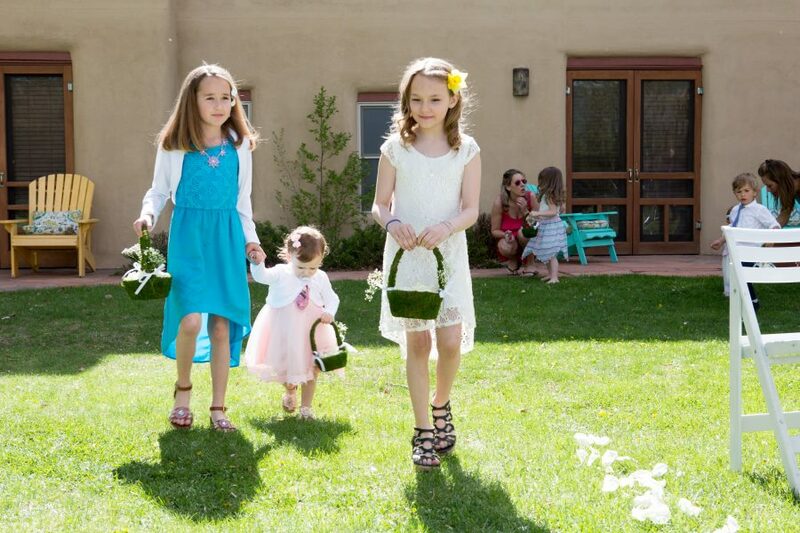 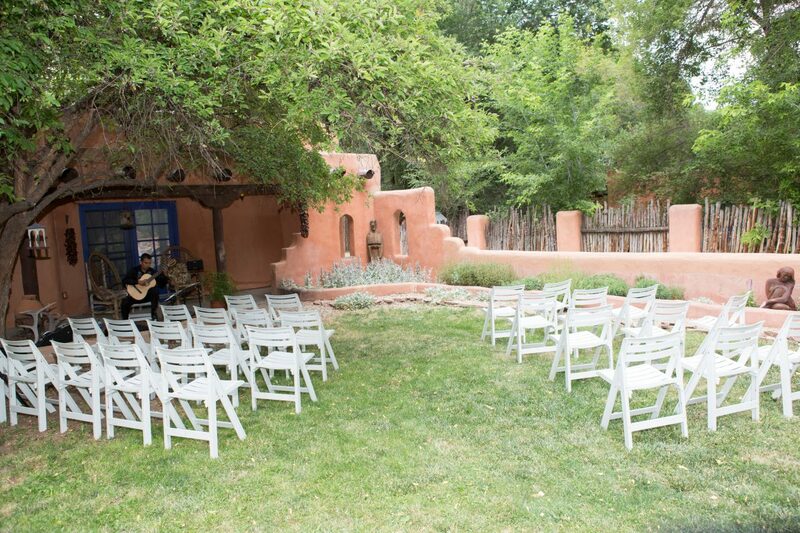 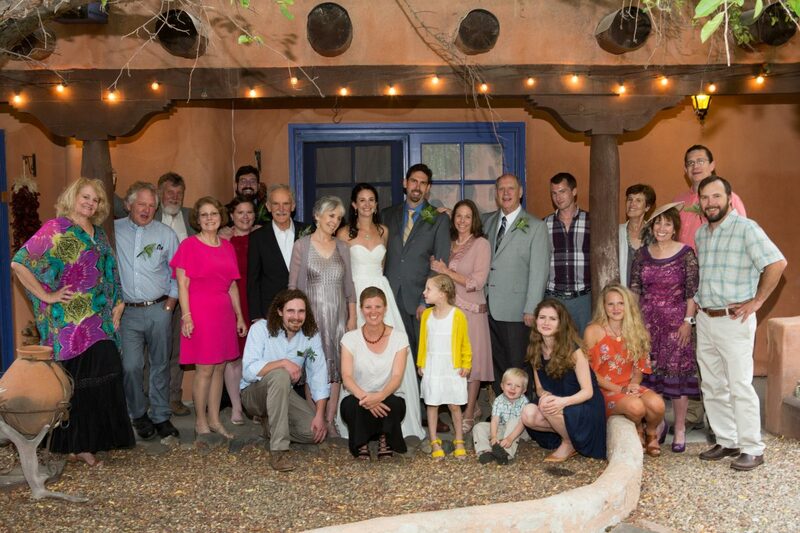 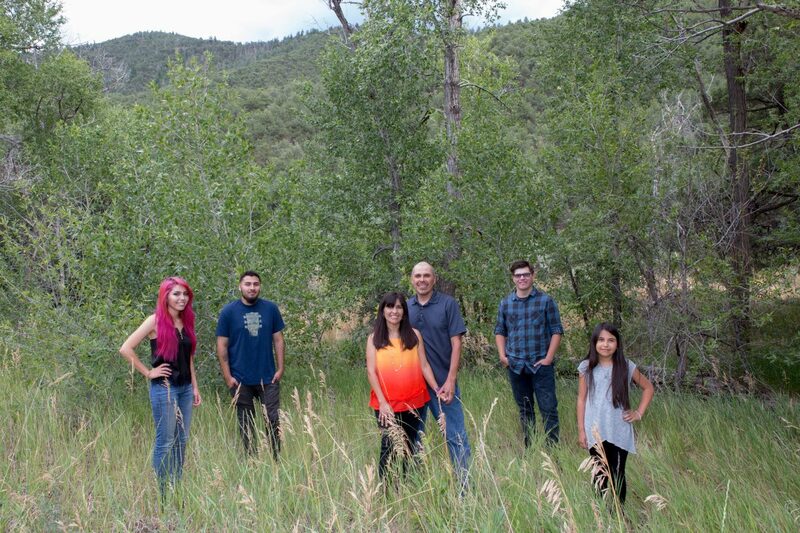 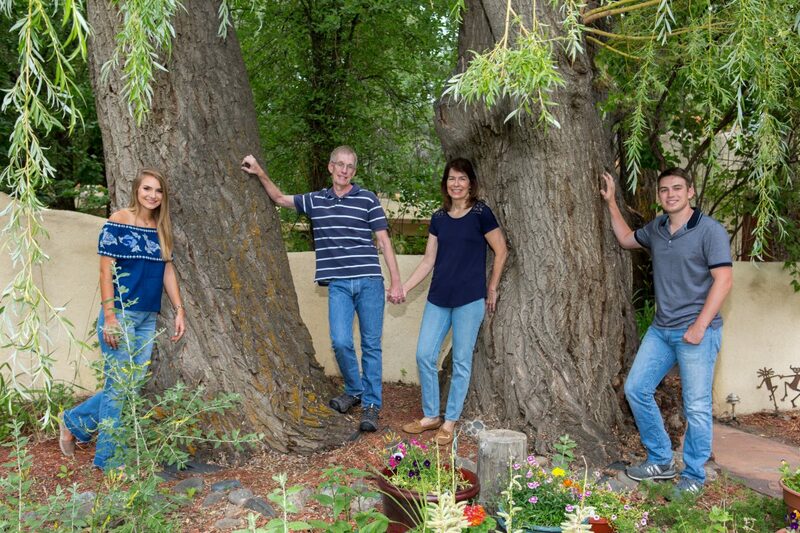 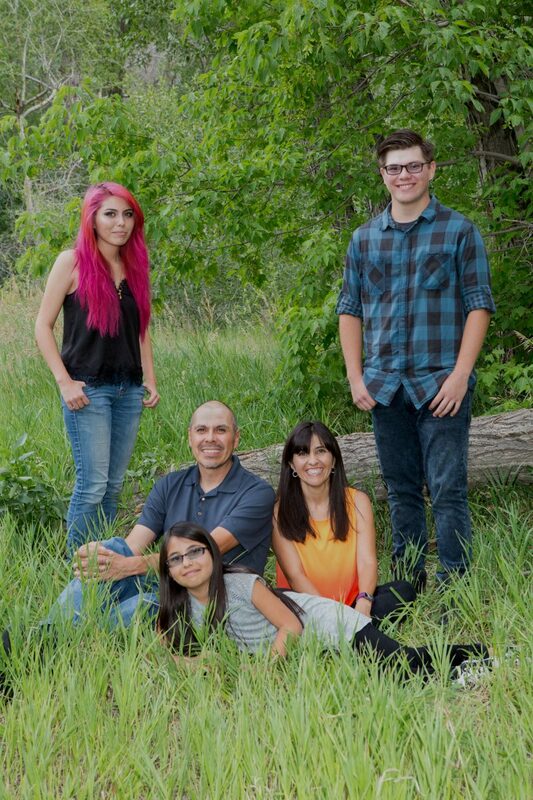 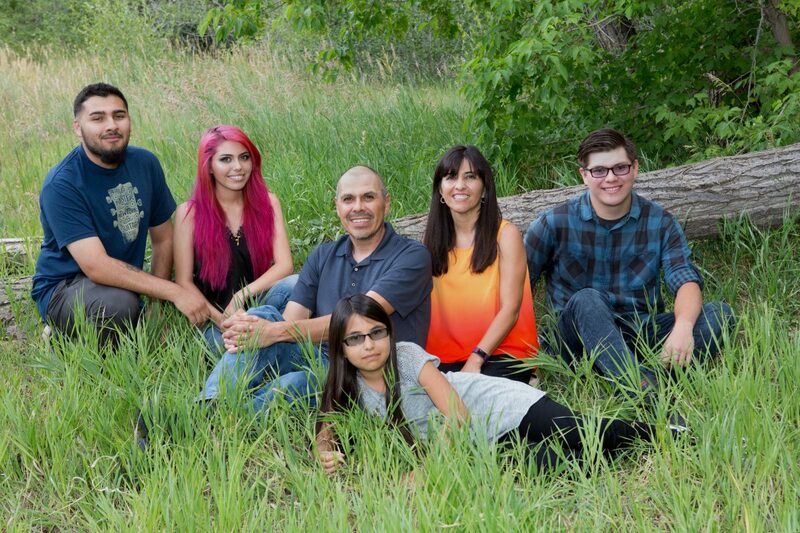 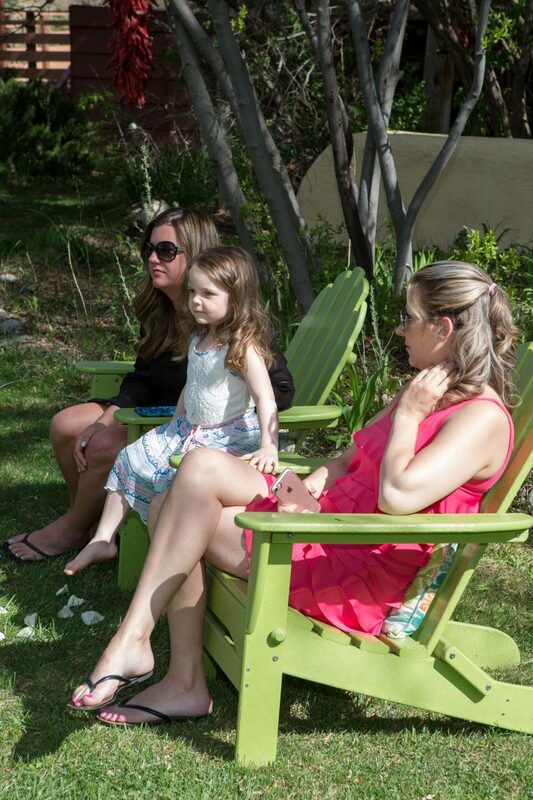 Taos has several places to book large weddings and/or wedding receptions. The Sagebrush Inn, Taos Mesa Brewery, and the KTAOS Solar Center all have the capabilities to cater to 300+ guests. 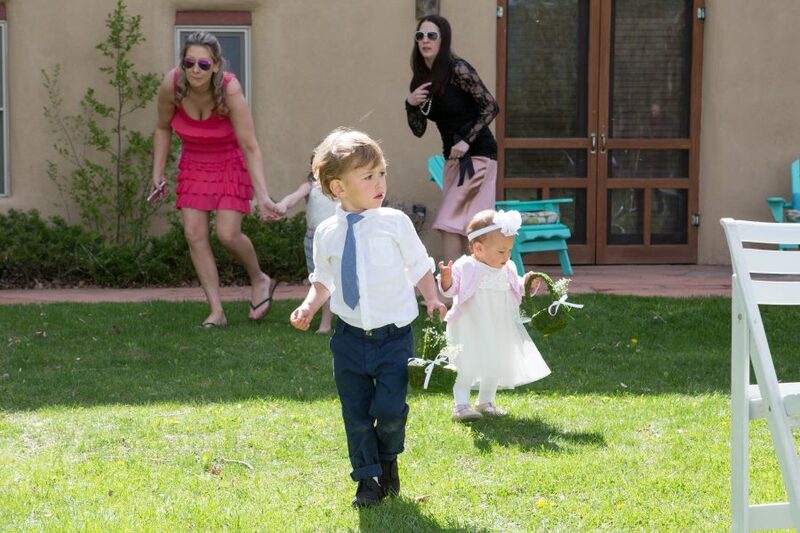 Usually at a large wedding, you want your photographer to hangout with you for a while, and then leave you alone so you don’t feel like there’s a paparazzi situation (I wish I was kidding). 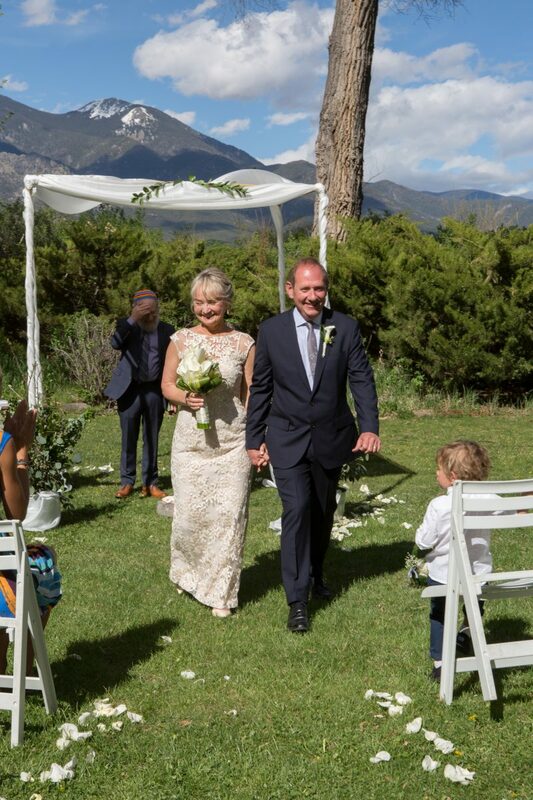 For a large wedding which takes place at one venue, we usually recommend about five to seven hours of time, starting 1.5 hours prior to your ceremony. 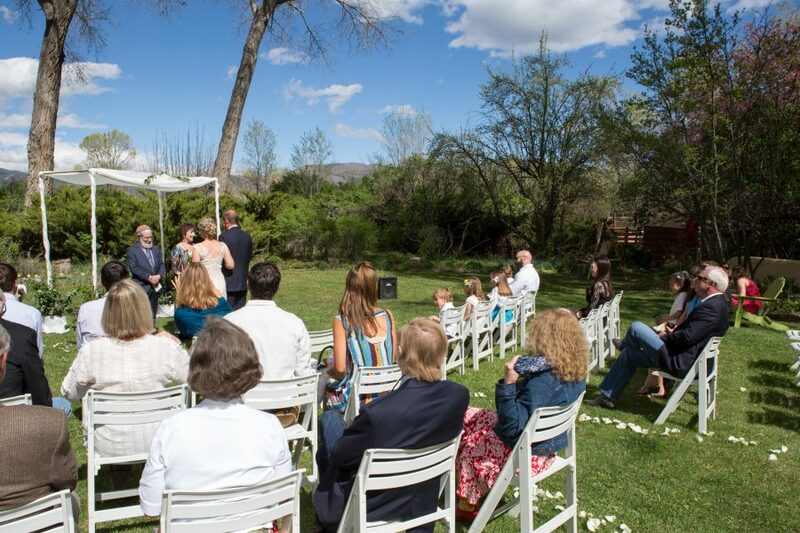 At a wedding which is at two locations (ie a church and the country club), we usually recommend seven to eight hours of time, which will help cover the travel time which is incurred when moving from one location to another. 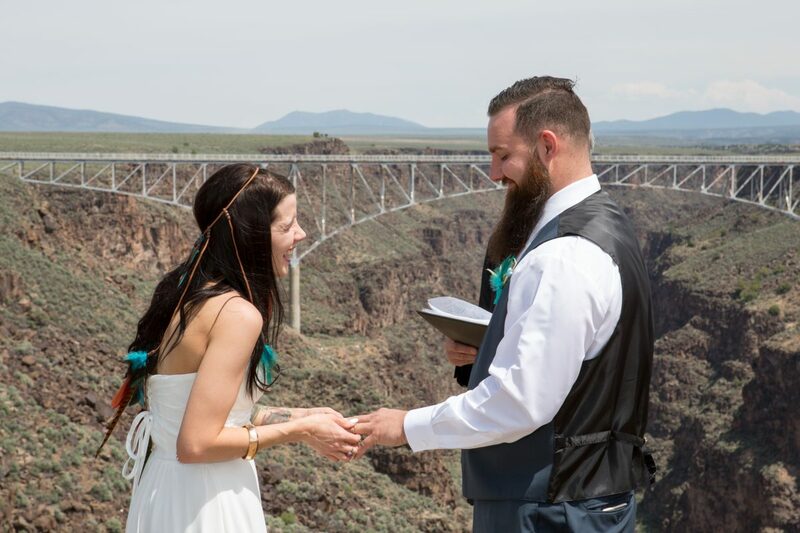 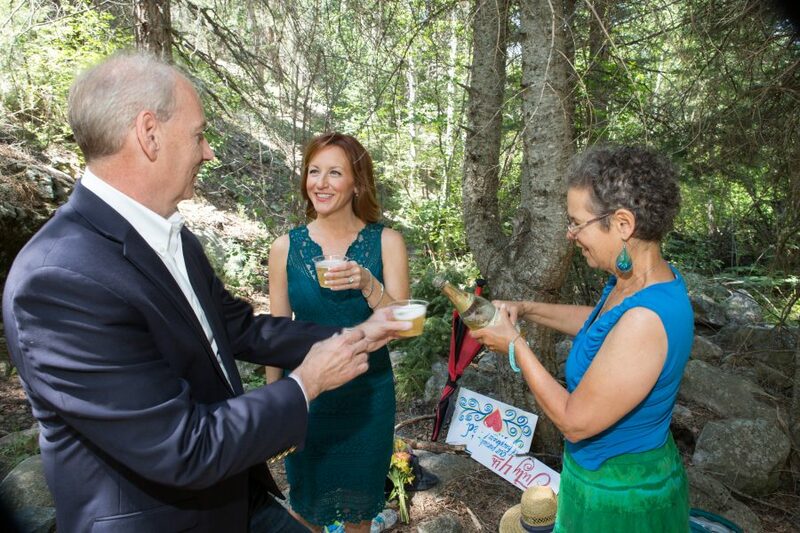 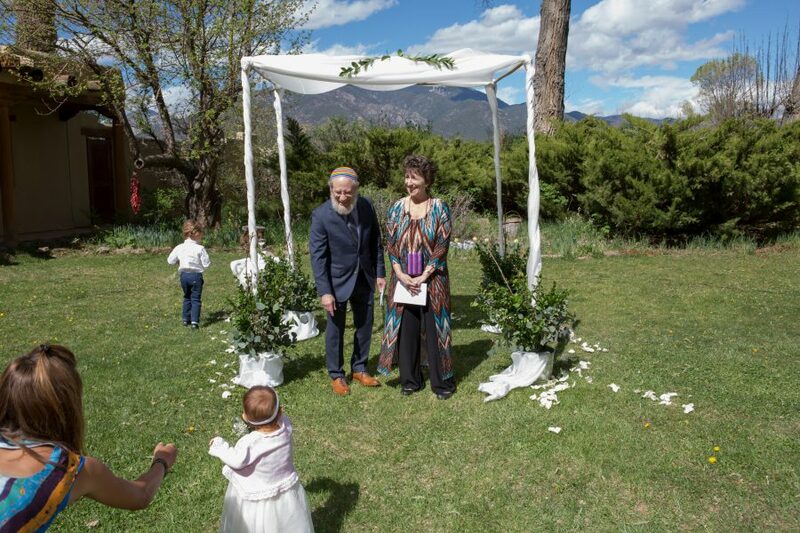 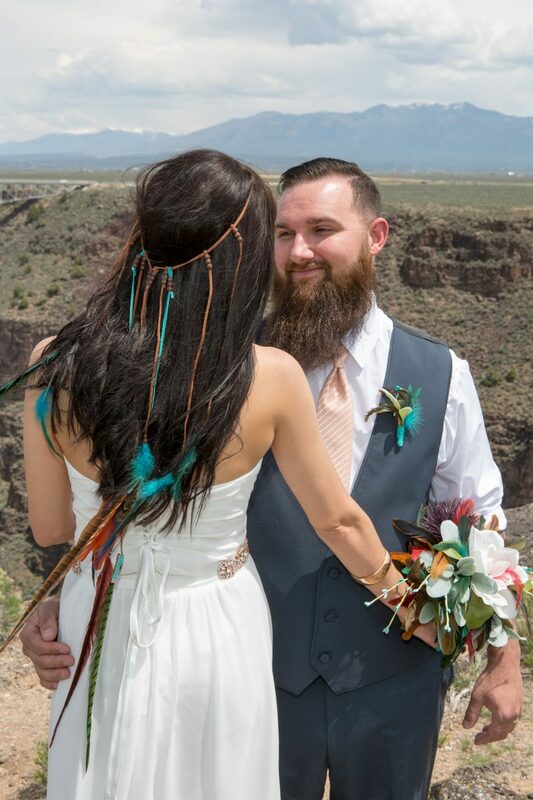 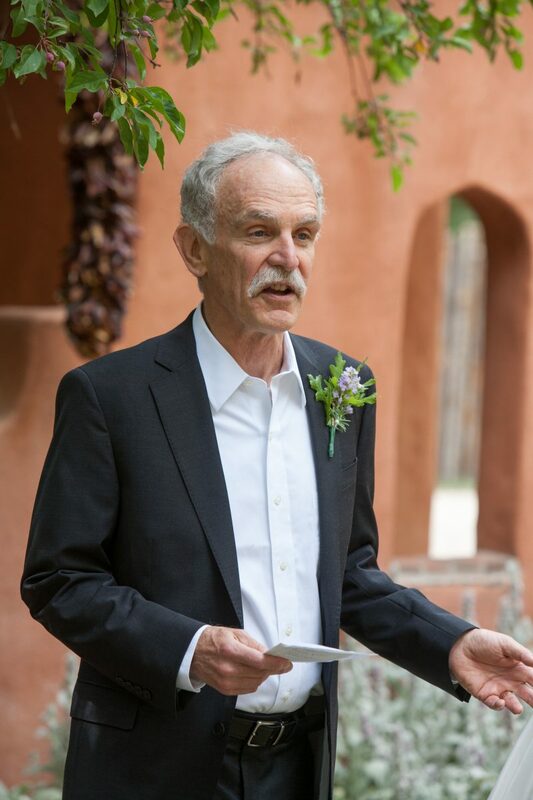 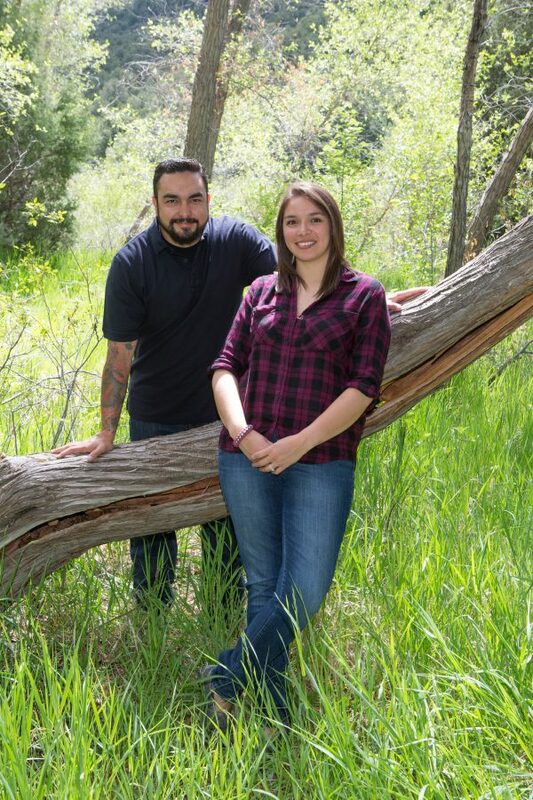 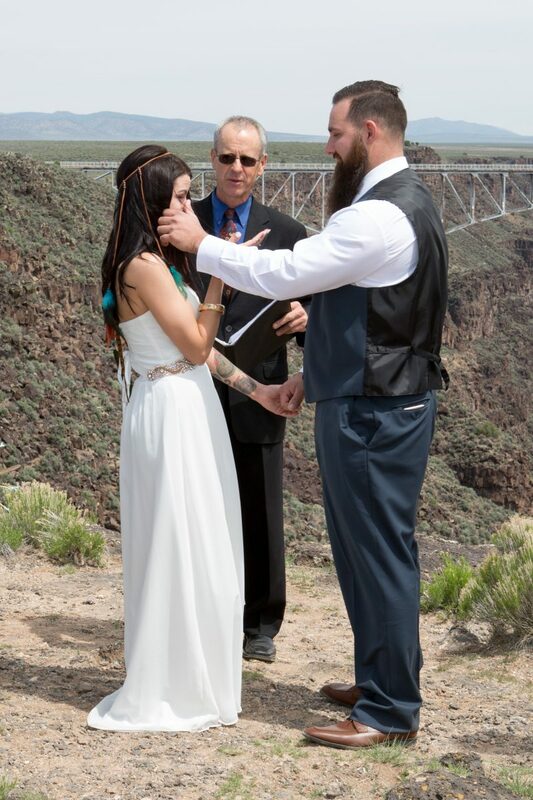 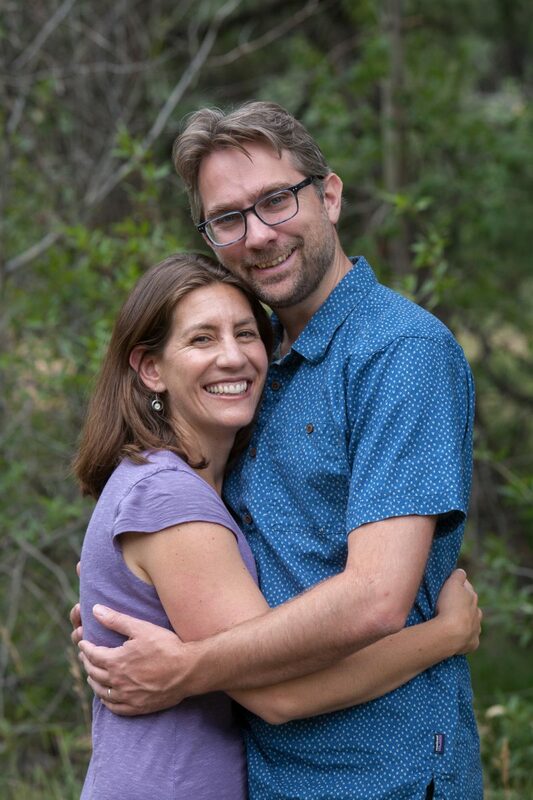 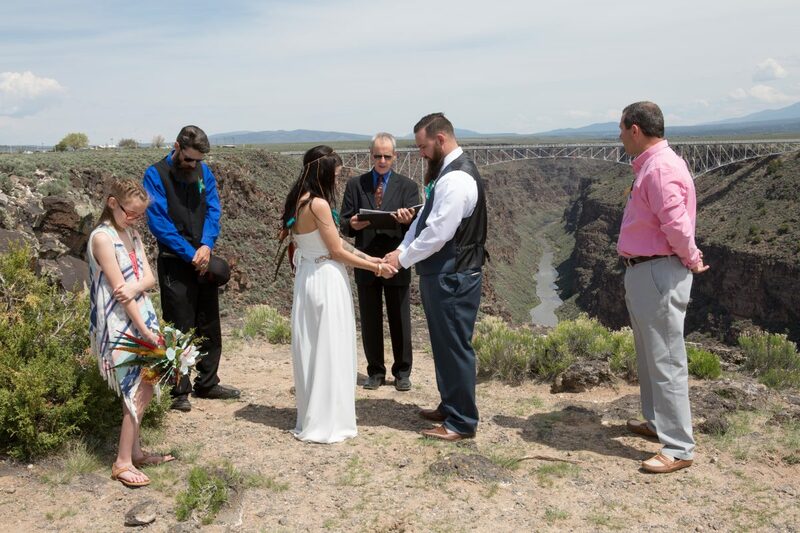 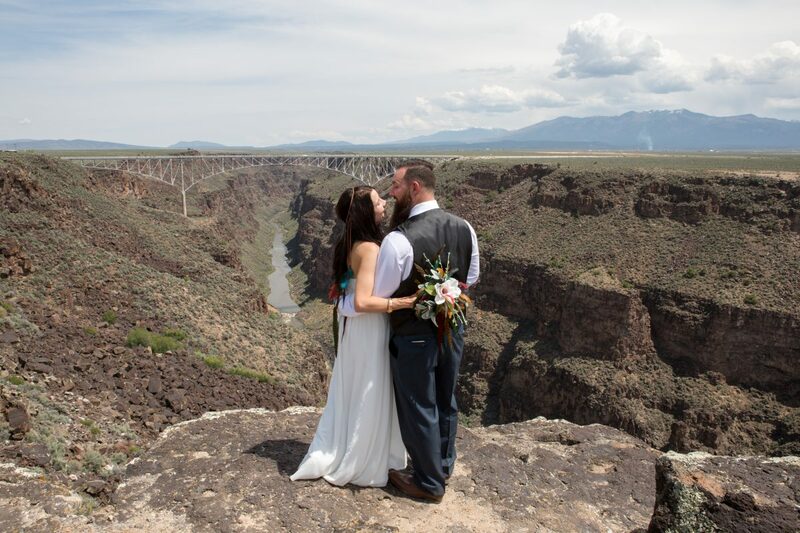 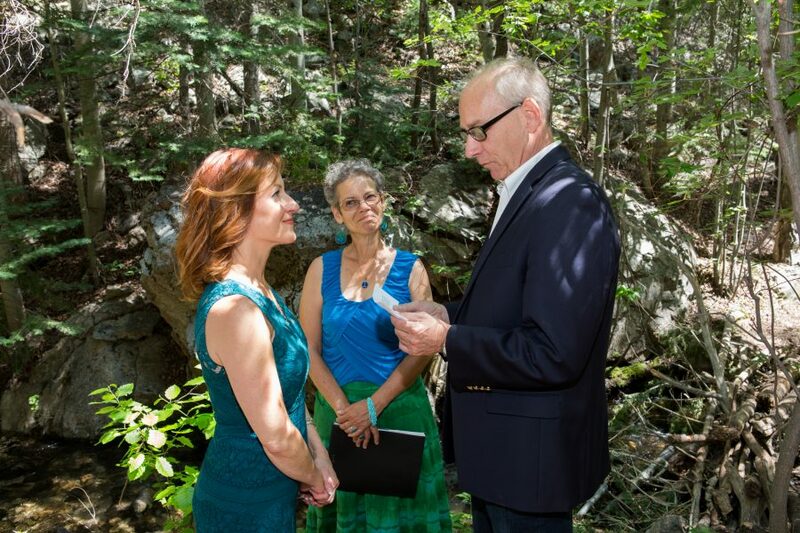 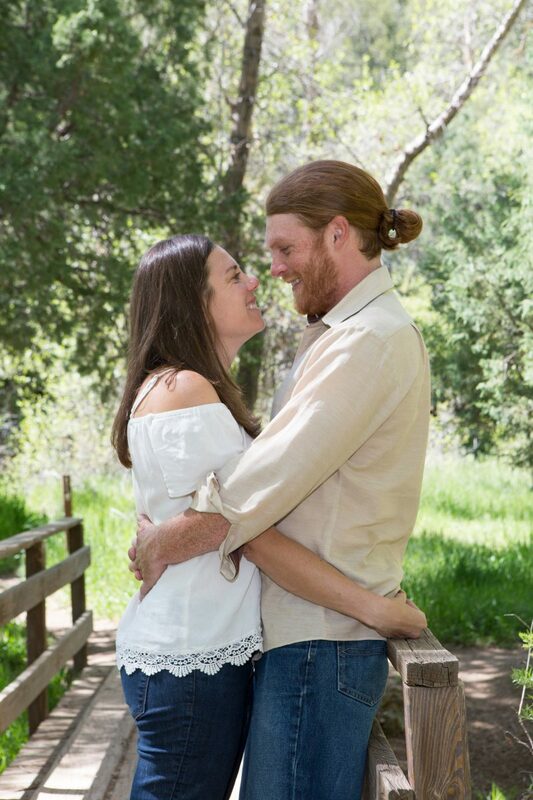 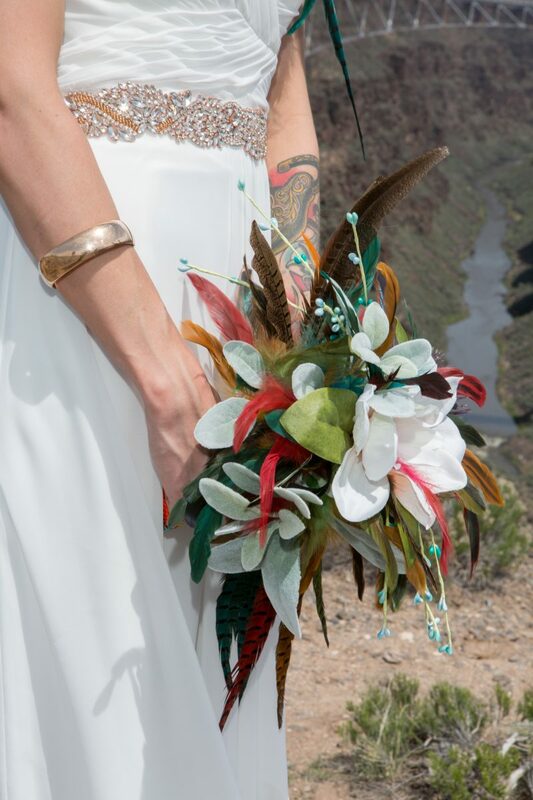 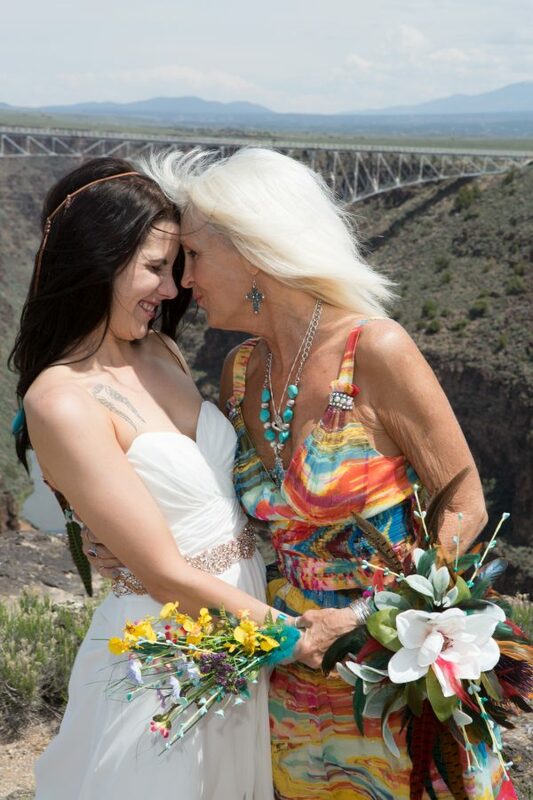 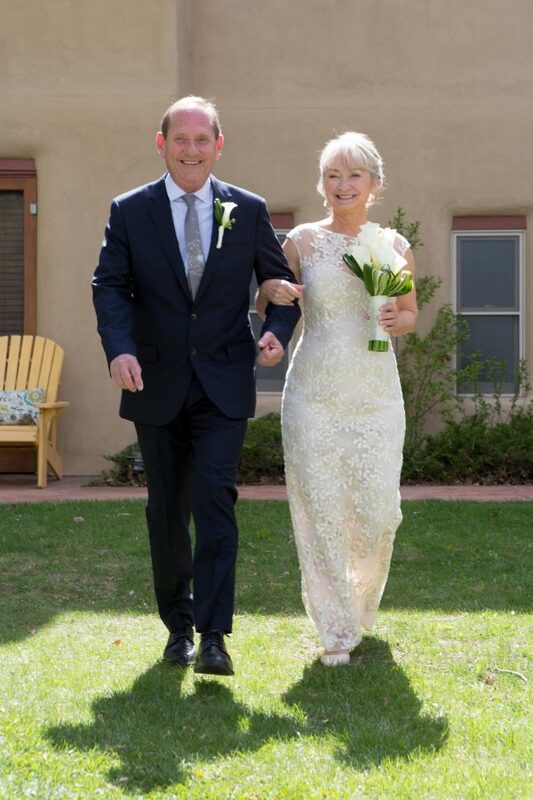 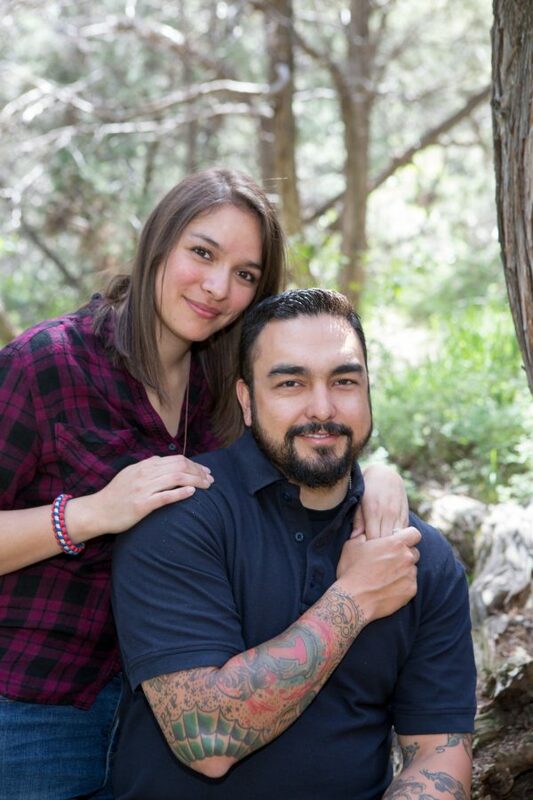 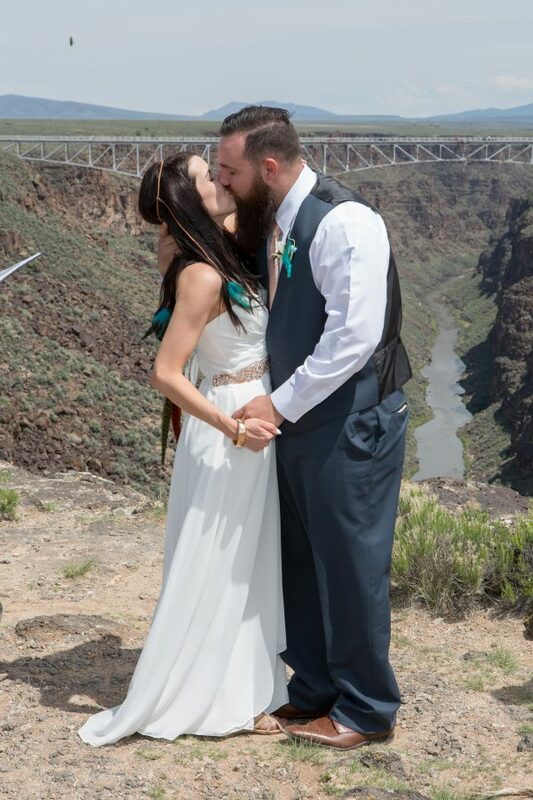 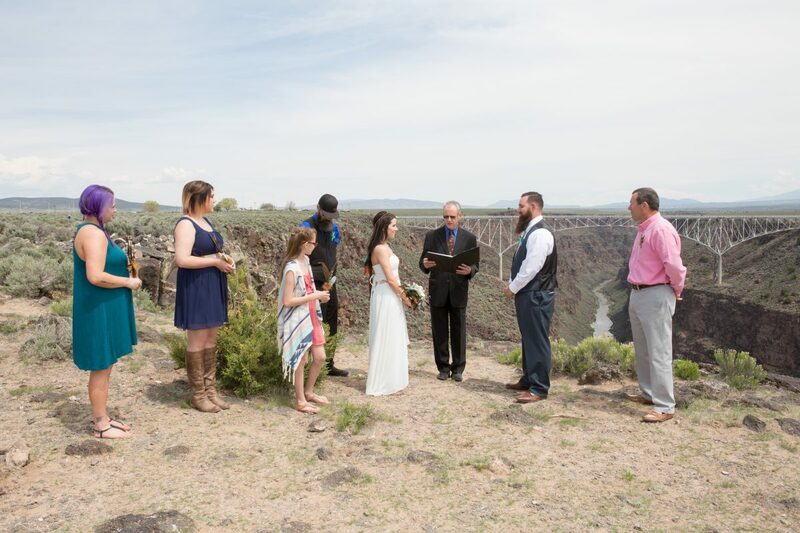 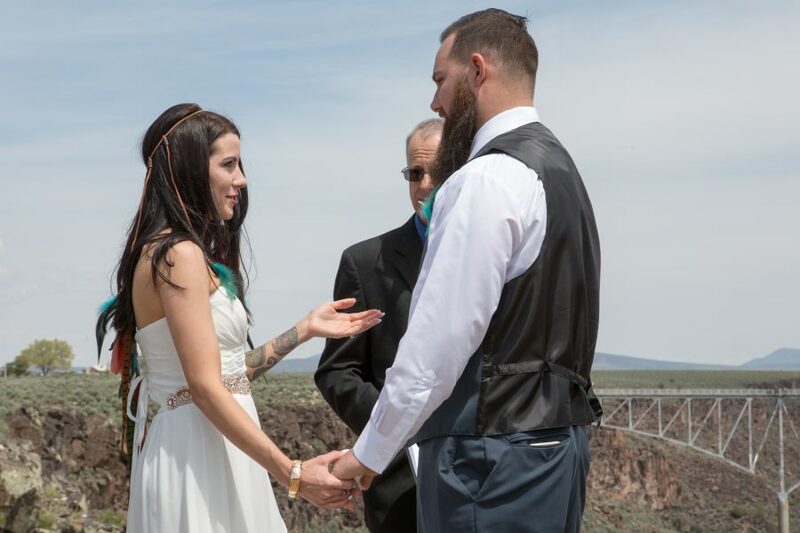 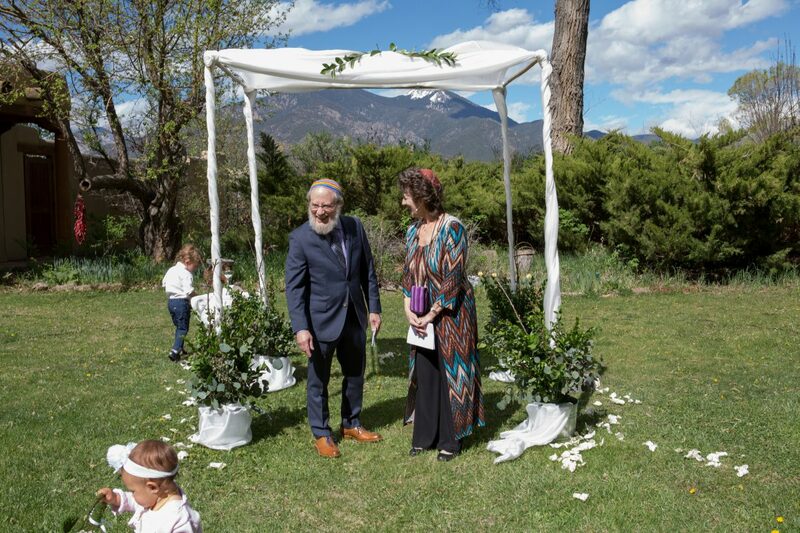 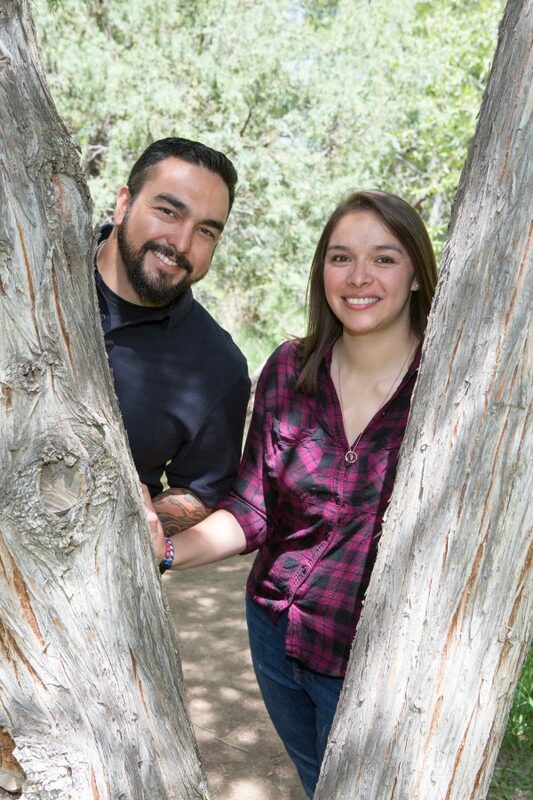 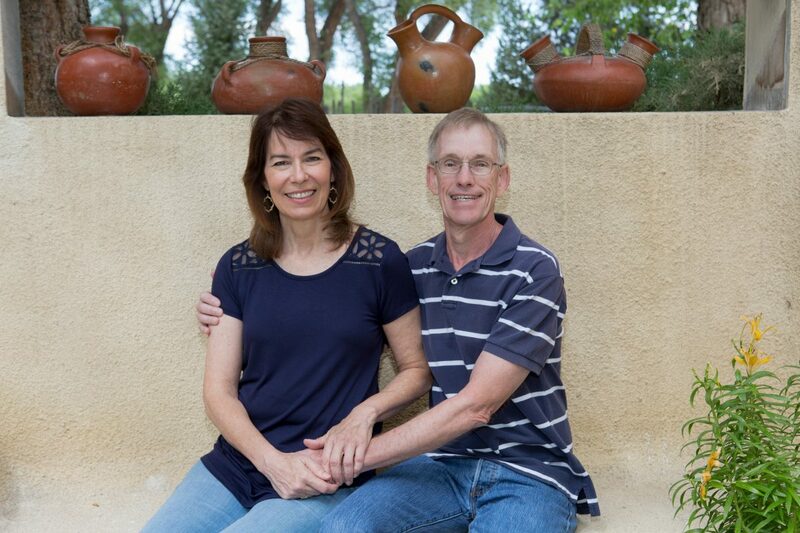 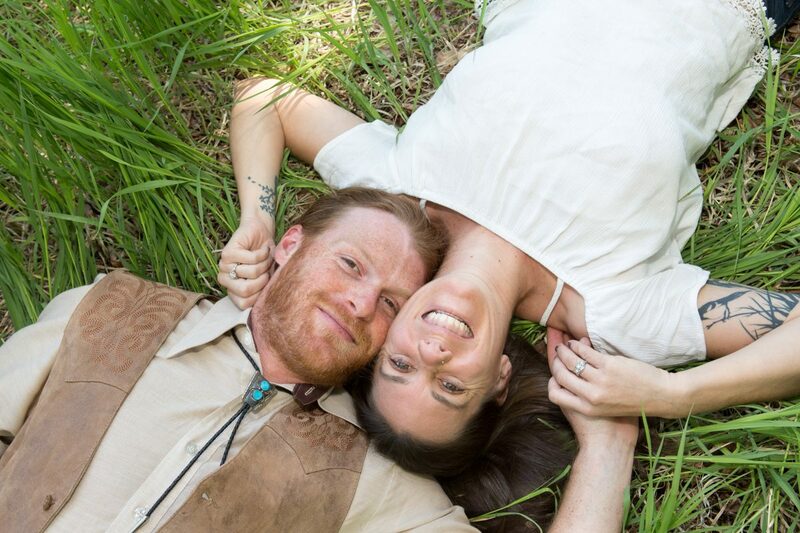 He traveled from Oregon and she traveled from Mississippi and they eloped in Taos, NM! 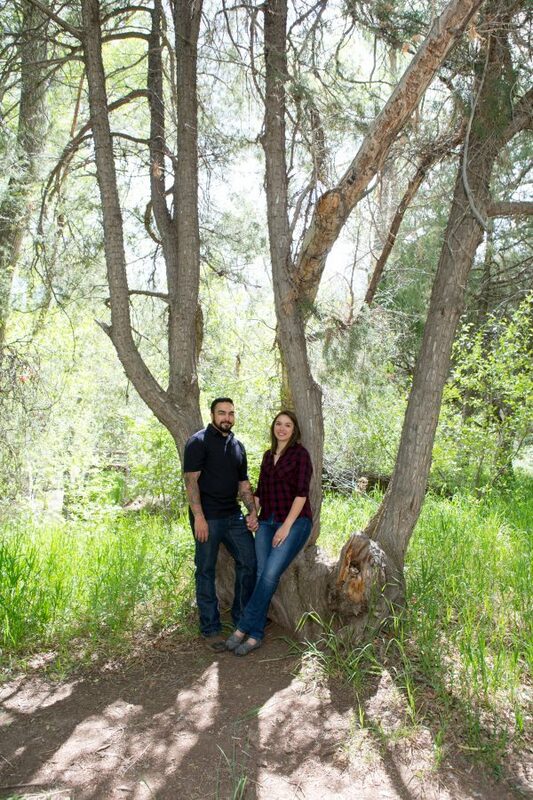 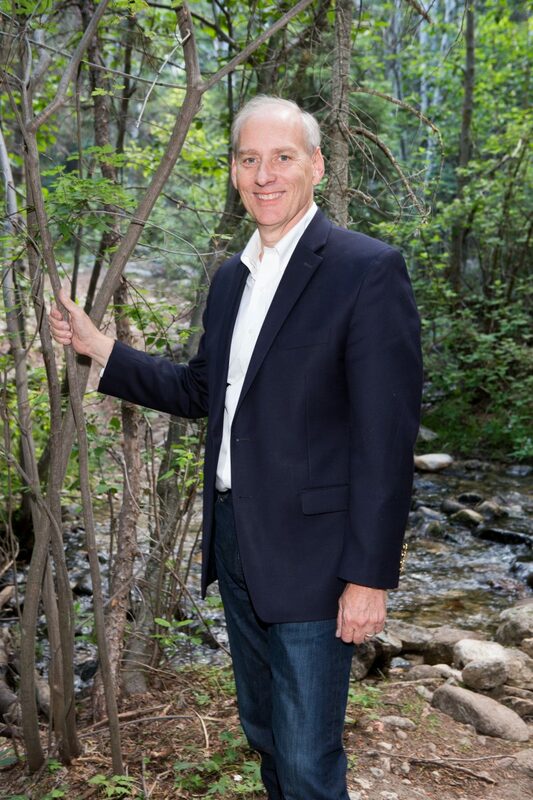 We had such a good time hanging out in the woods, off a trail in El Salto. 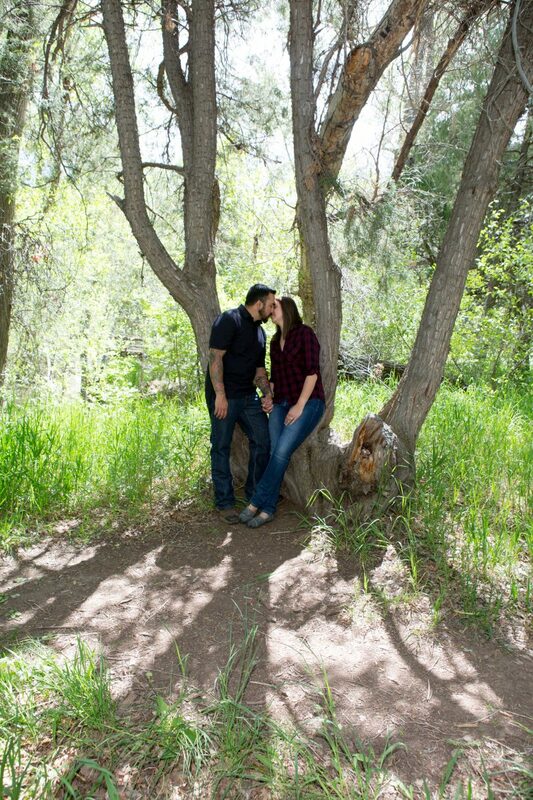 The morning air was cool and the woods were quiet. 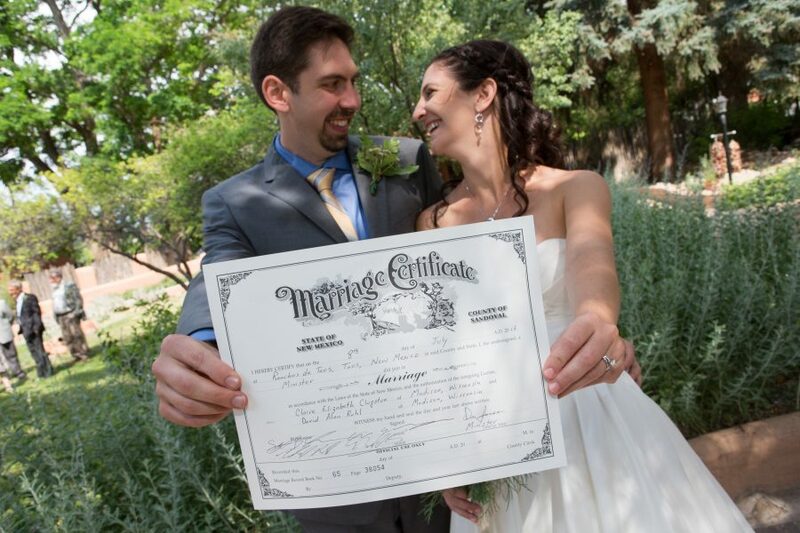 The ceremony, license signing, toast, and formal photos took just about one hour and then we all headed into Arroyo Seco for the famous 4th of July parade down Main Street! 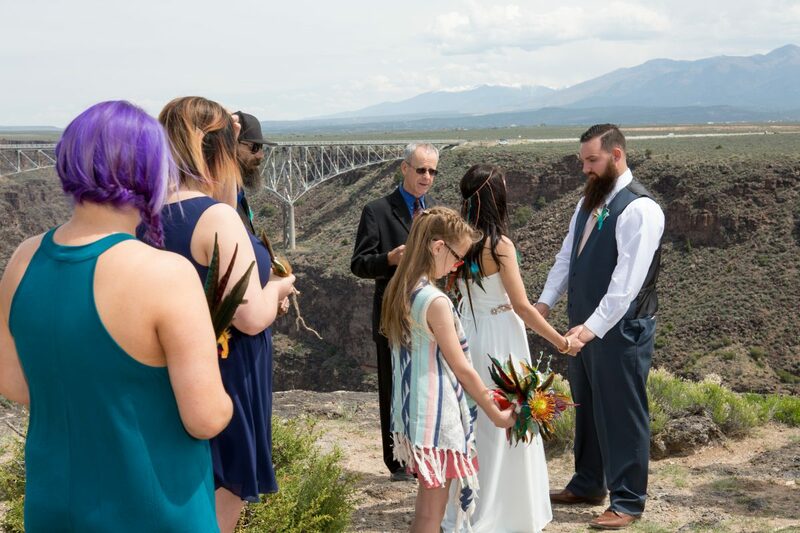 I love 4th of July weddings, something about getting married on a day that celebrates independence, it’s delightfully ironic! 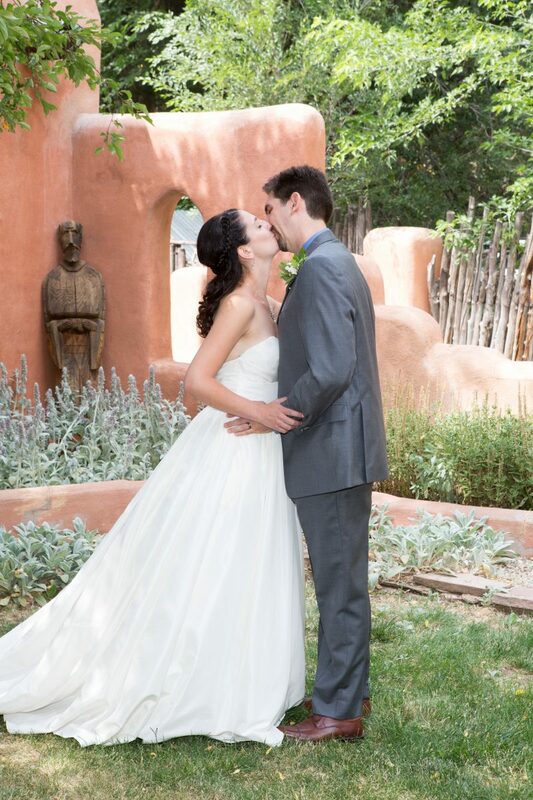 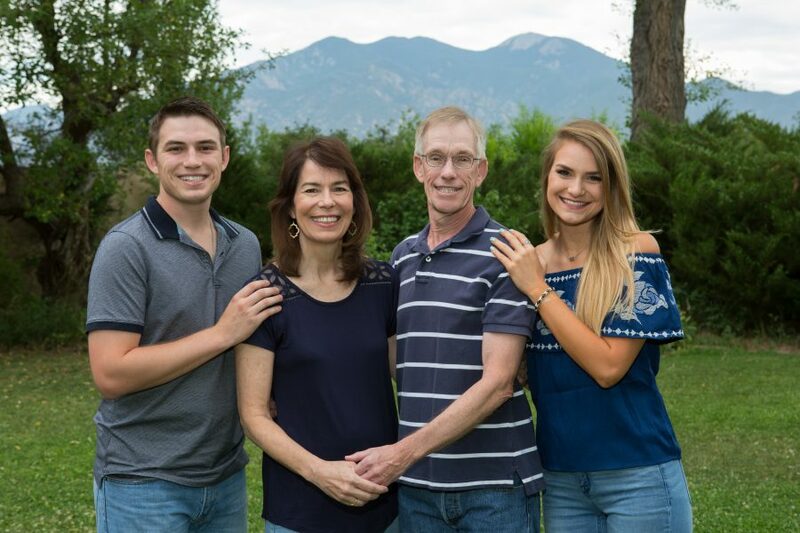 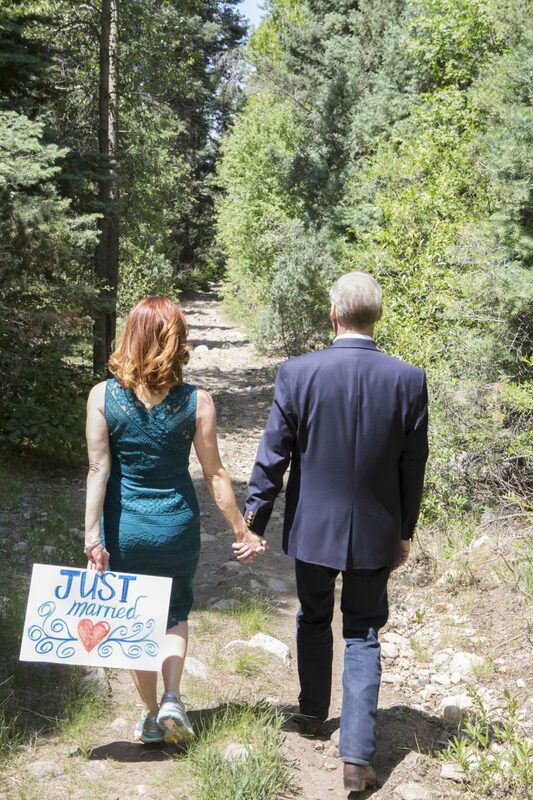 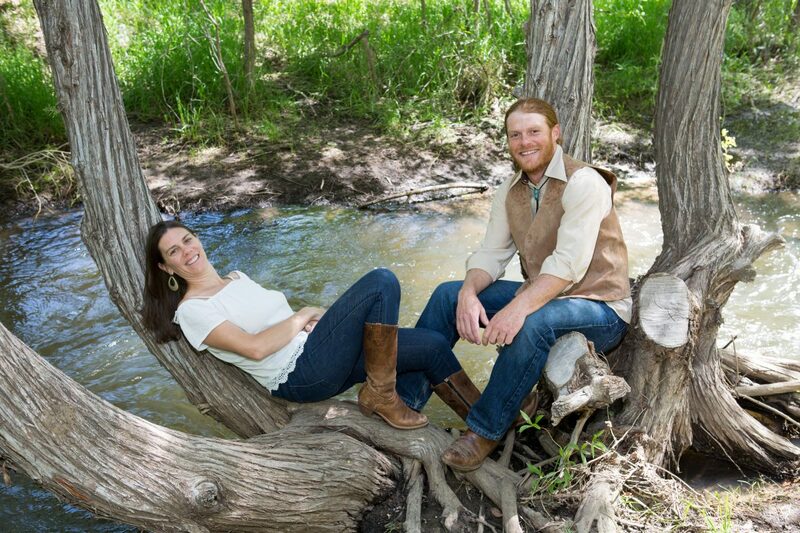 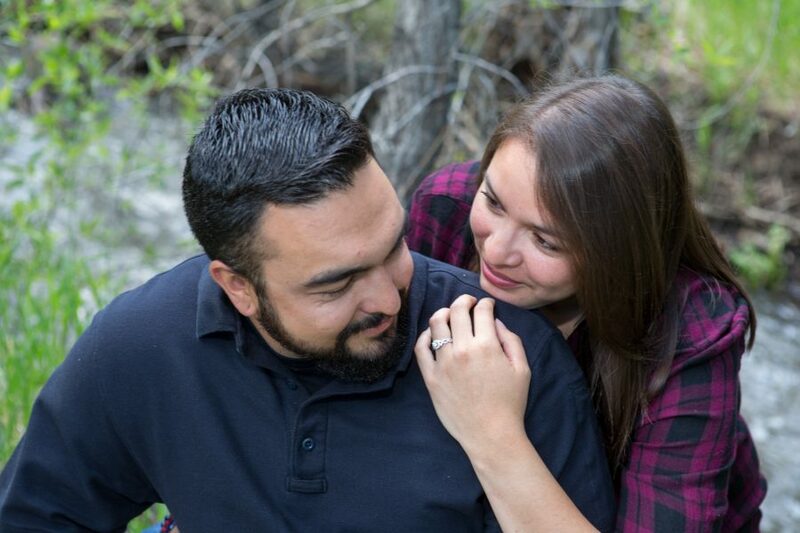 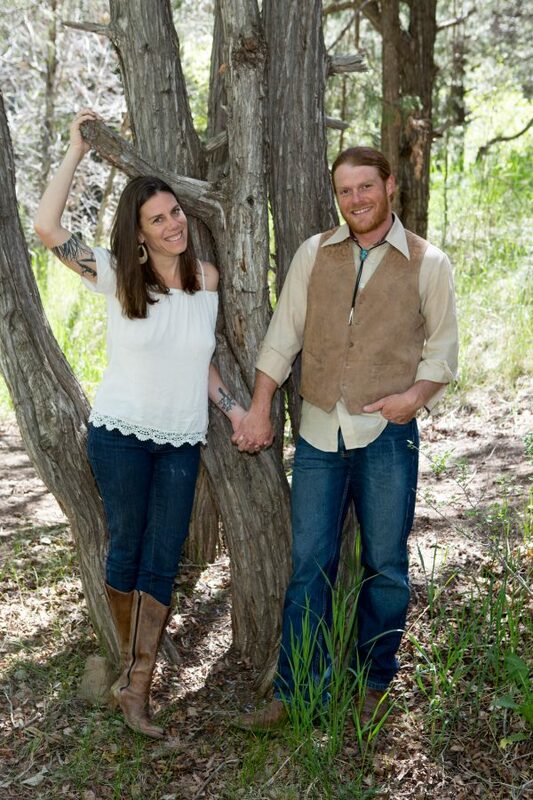 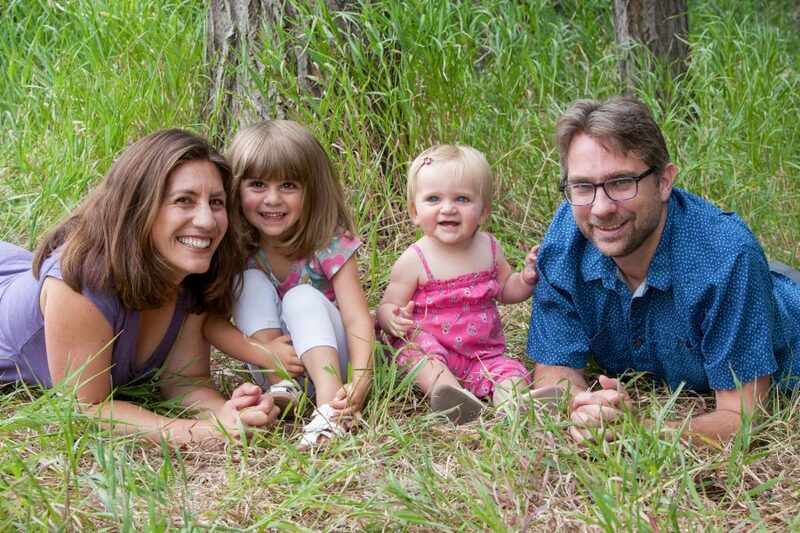 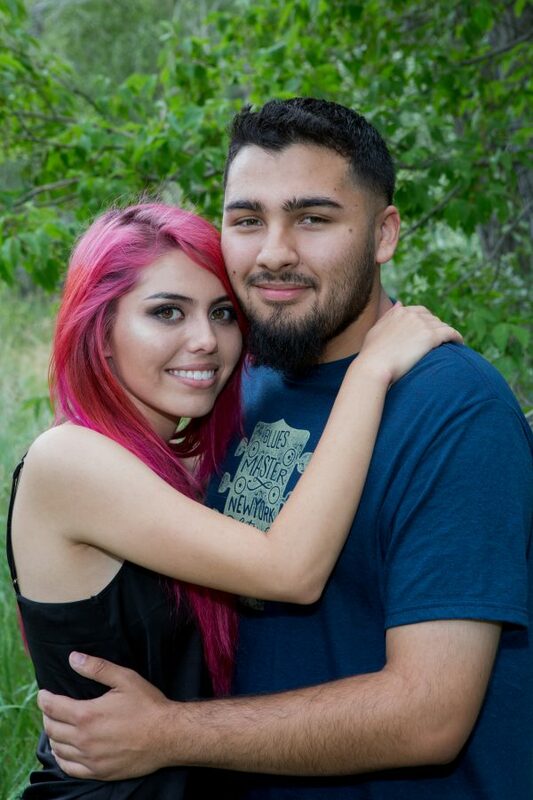 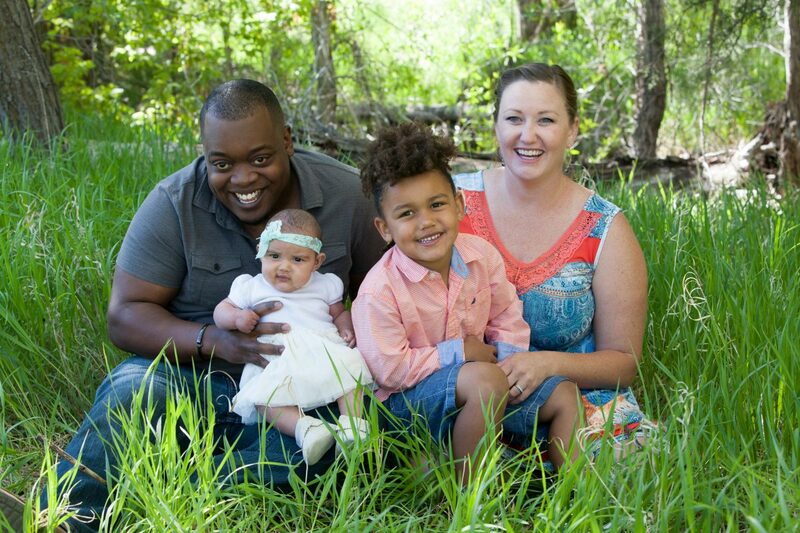 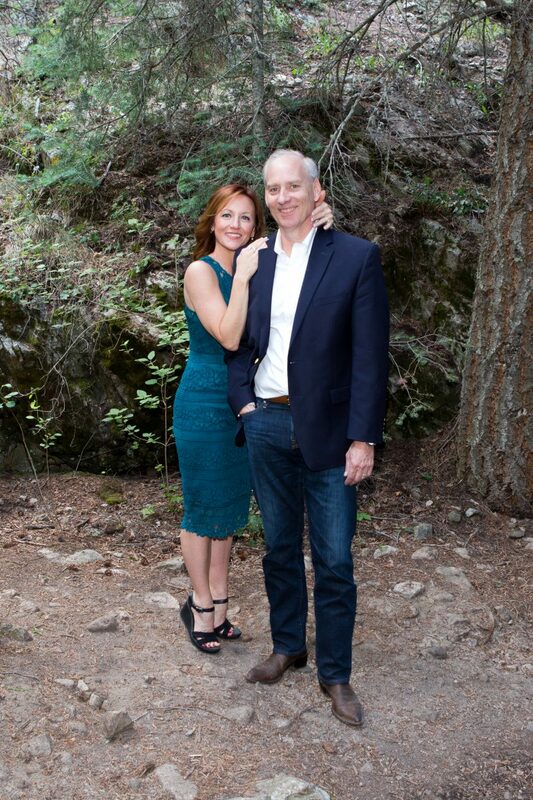 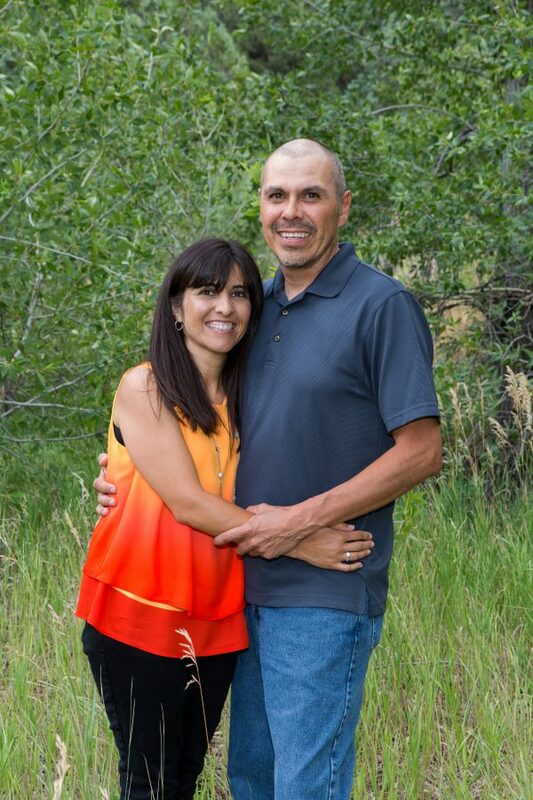 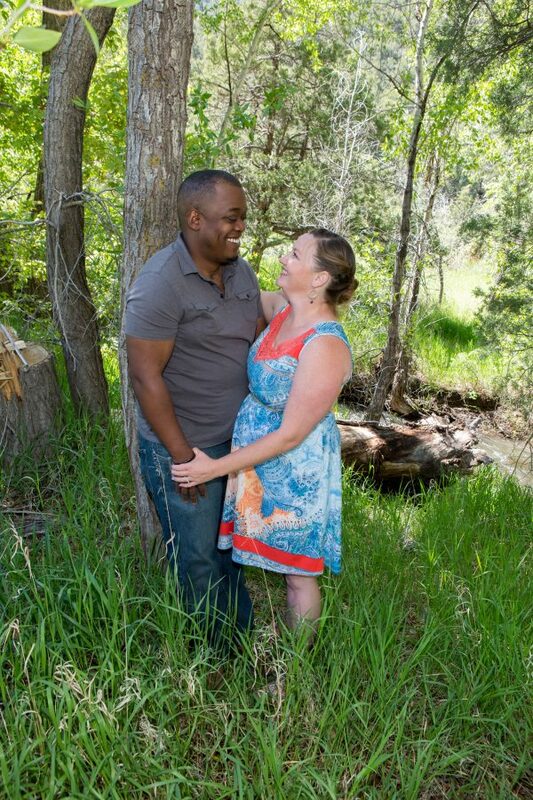 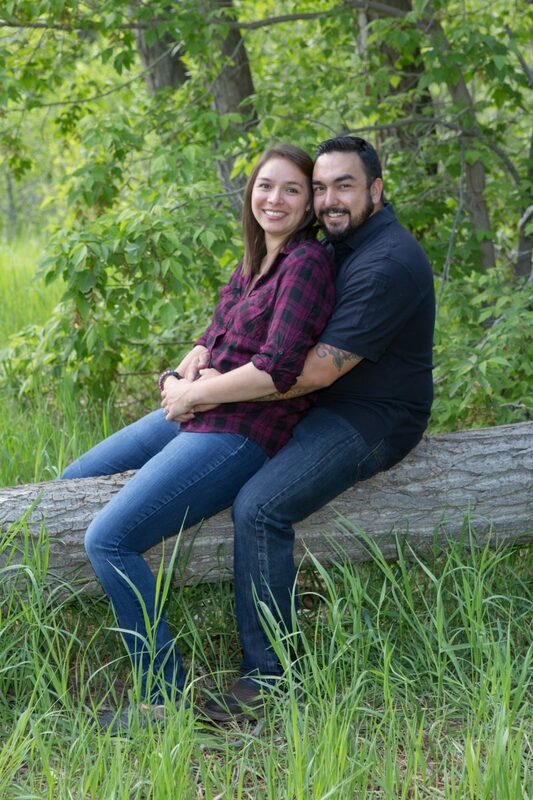 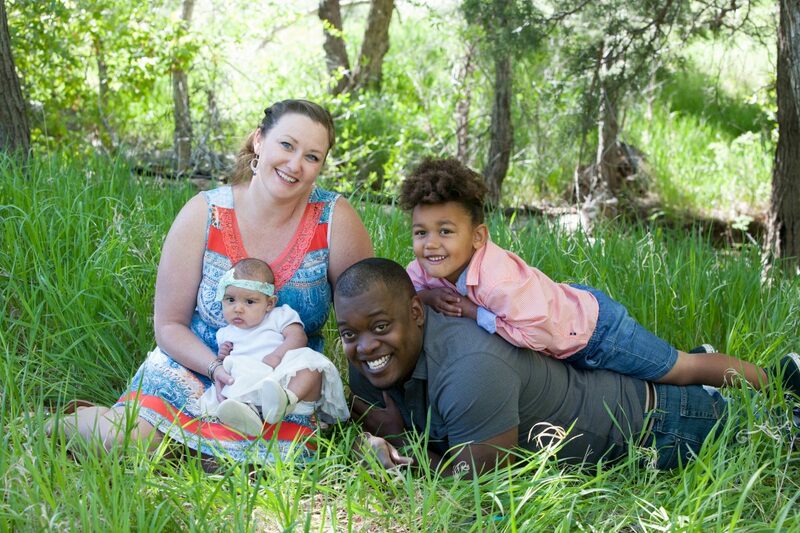 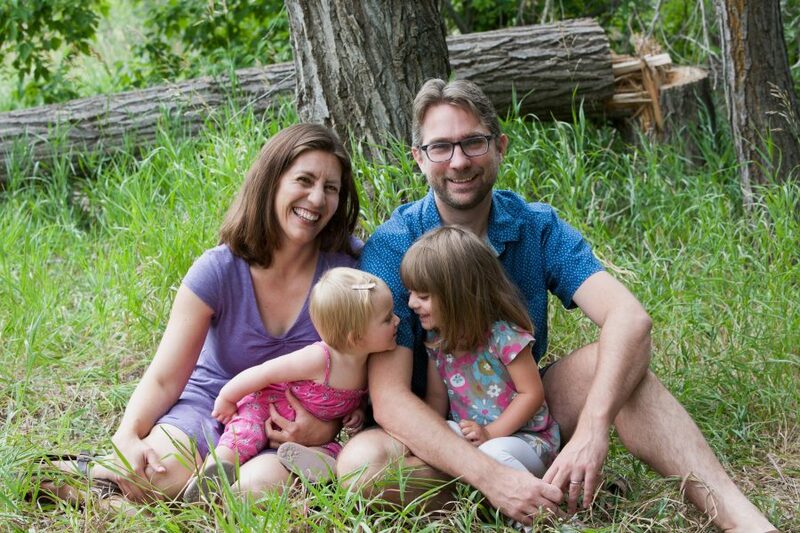 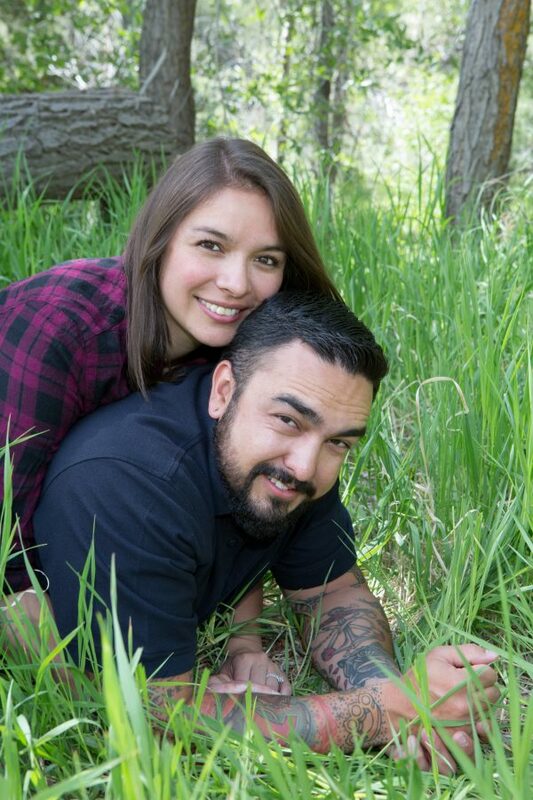 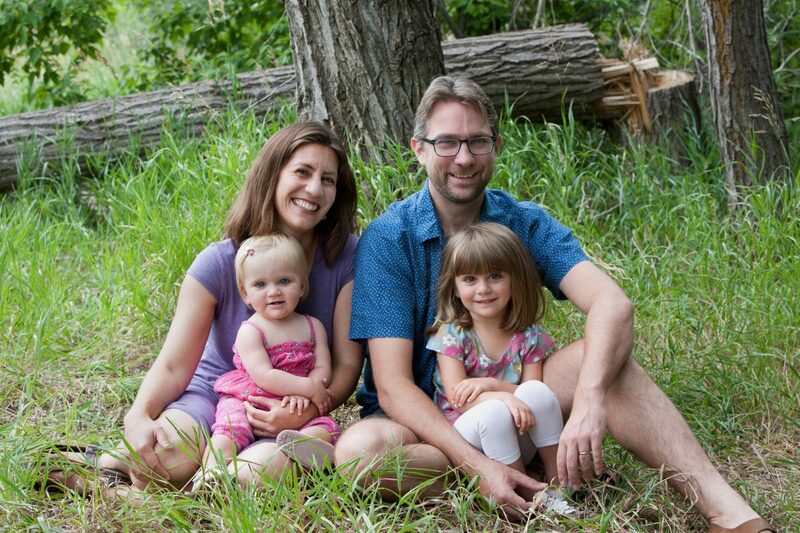 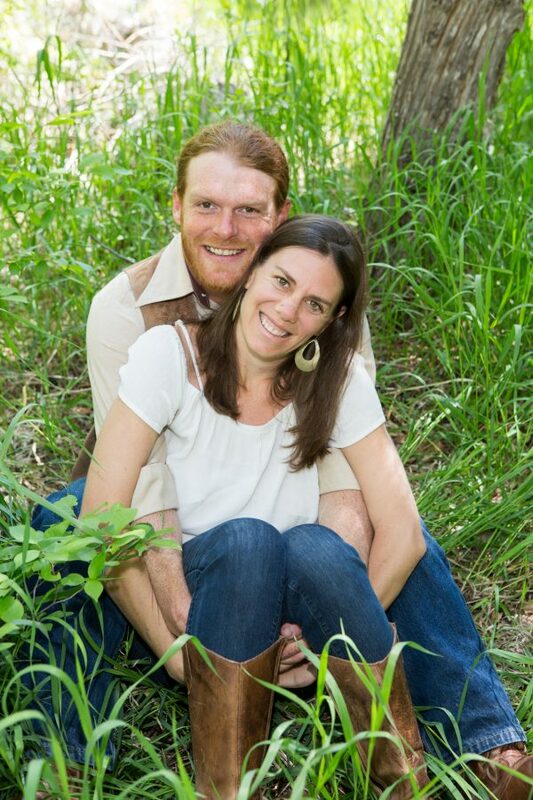 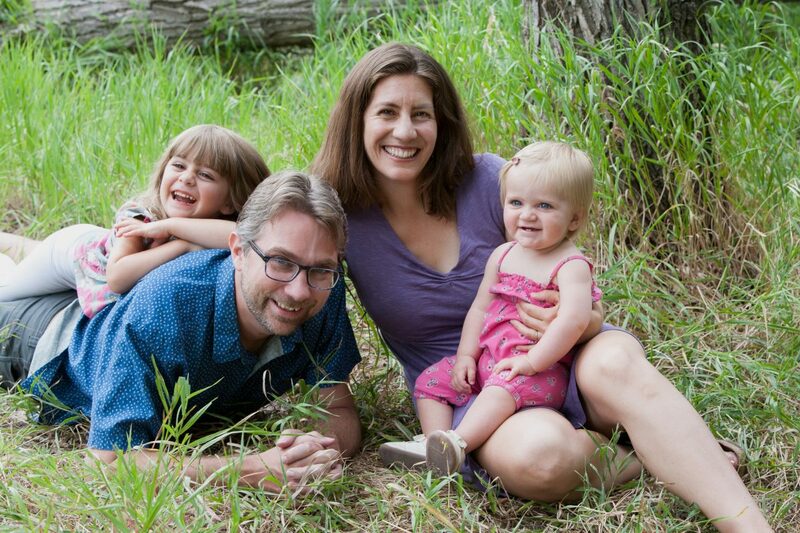 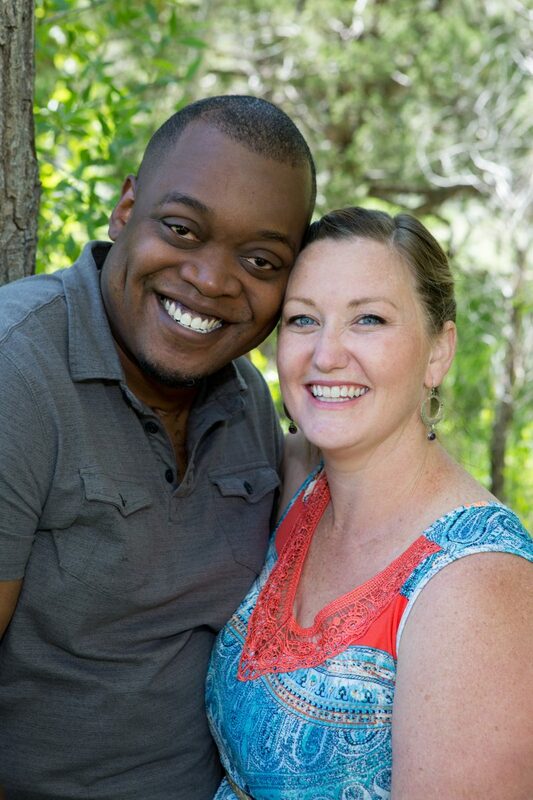 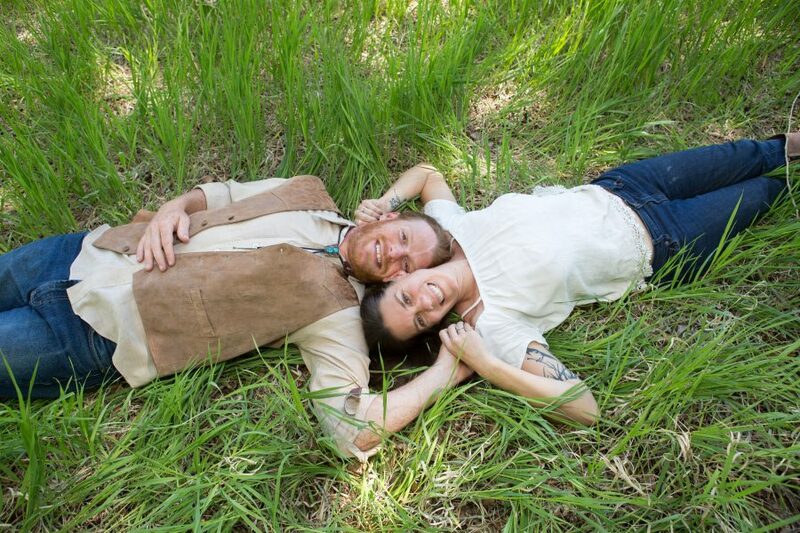 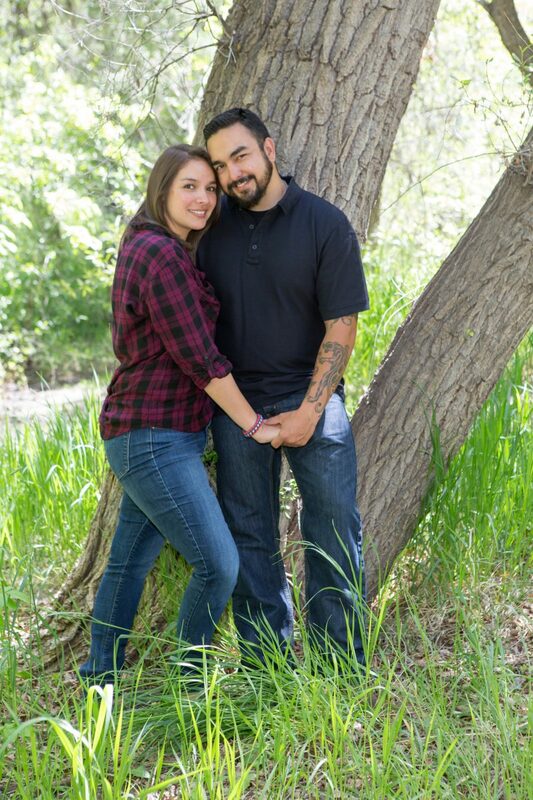 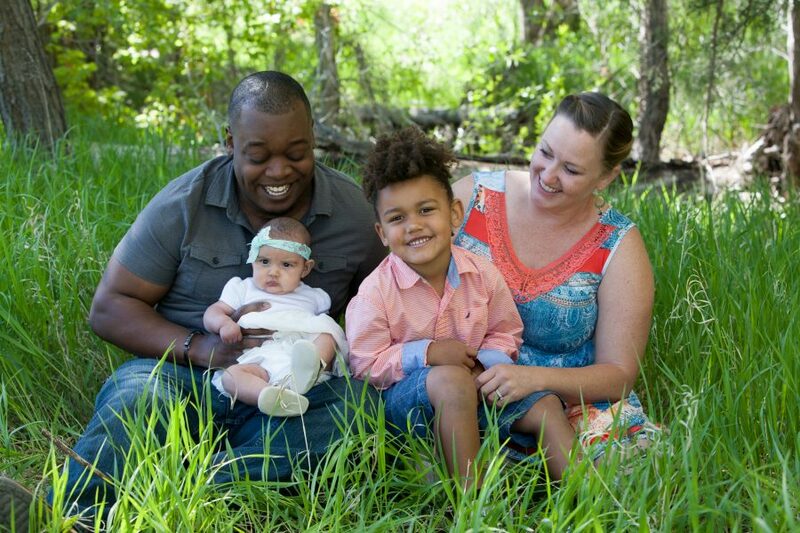 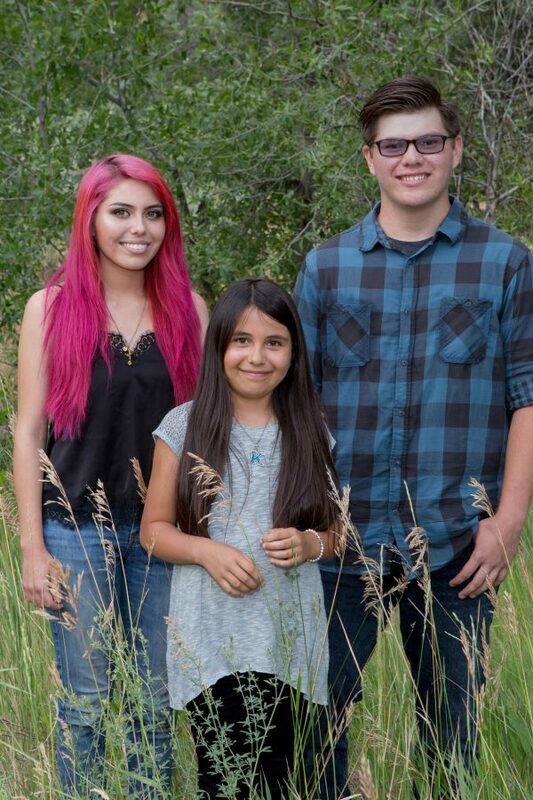 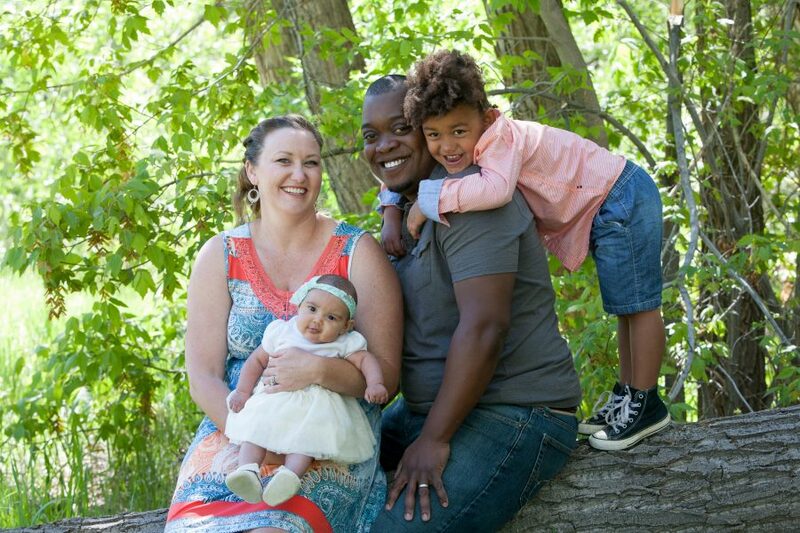 This adorable couple lives in Colorado but are having their destination wedding in our little mountain town of Taos! 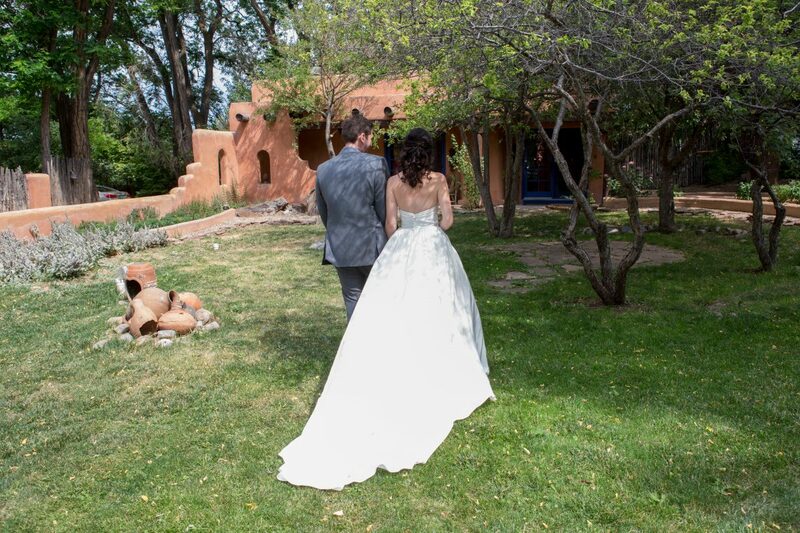 There are many benefits to having a Taos wedding. 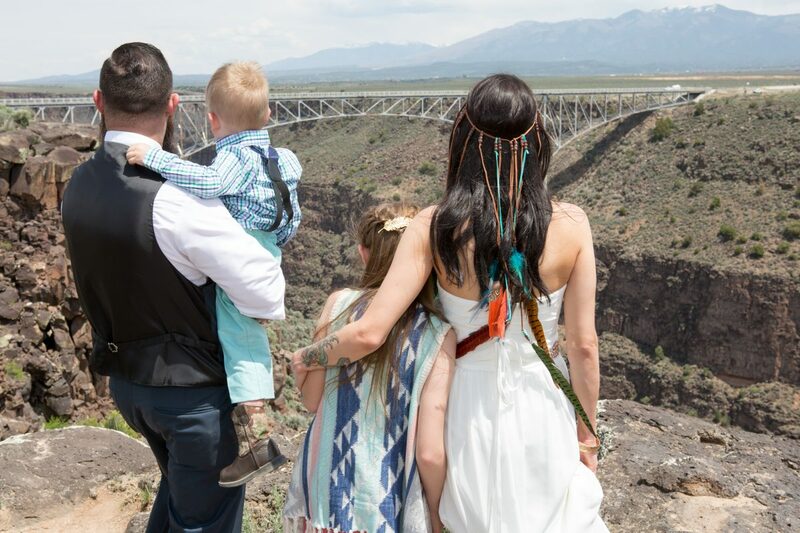 The delicious food and amazing views alone are incredible entertainment for your guests, but the best reason is that your wedding takes you to another place to have a unique event in a place that is totally yours. 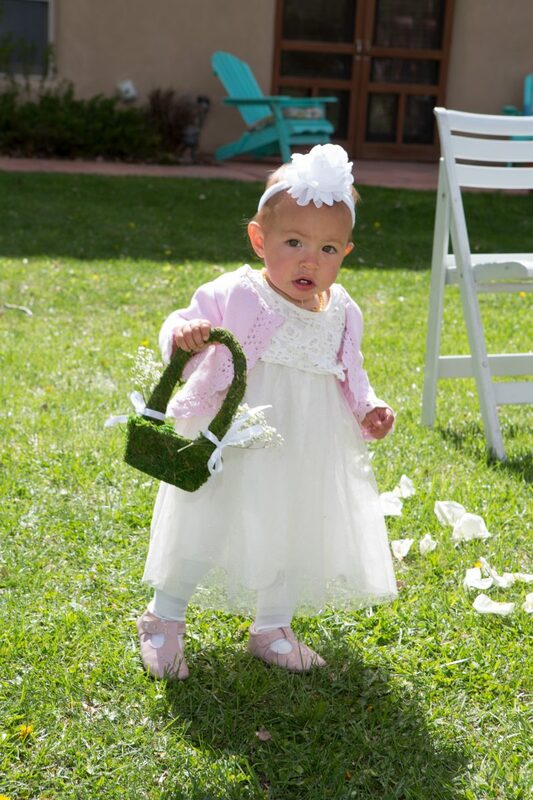 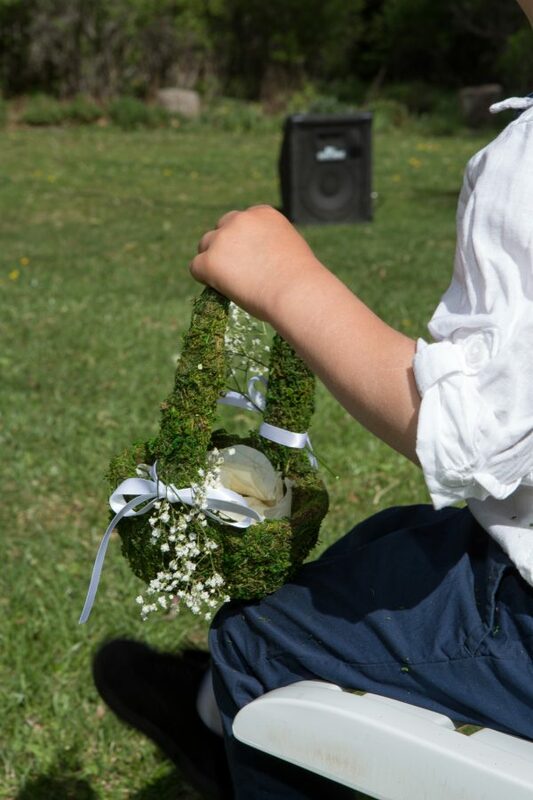 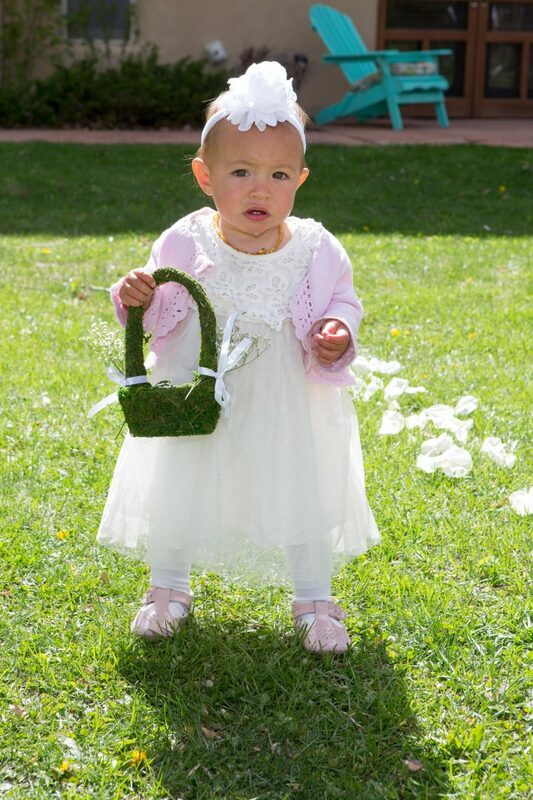 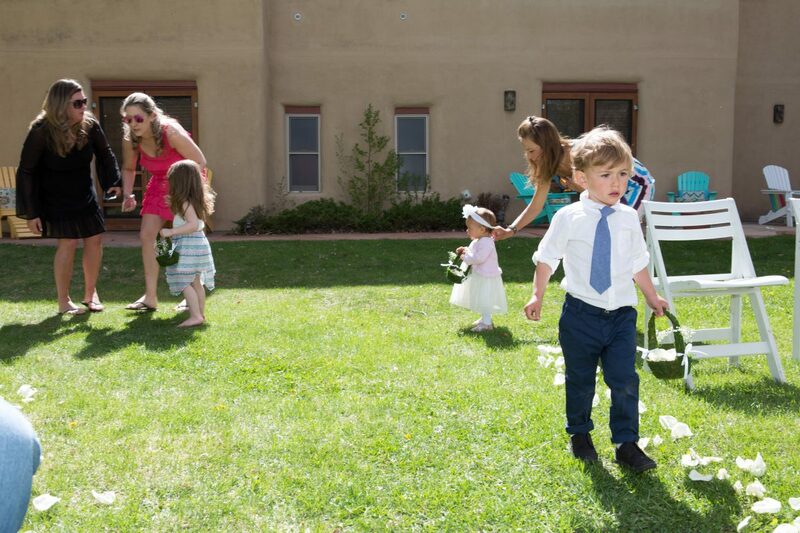 A few cute children waiting to walk up the aisle can create a little entertainment for the guests before the wedding ceremony even begins. 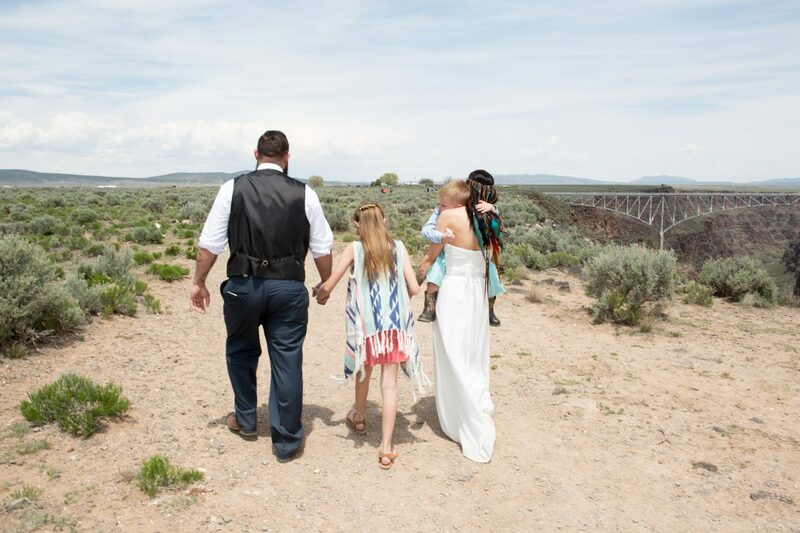 This wedding had a processional with six children walking up the aisle before the bride and groom. 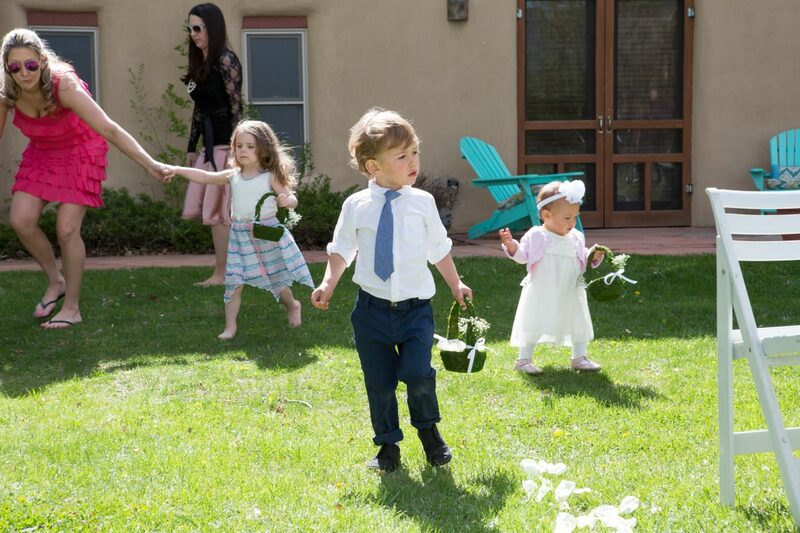 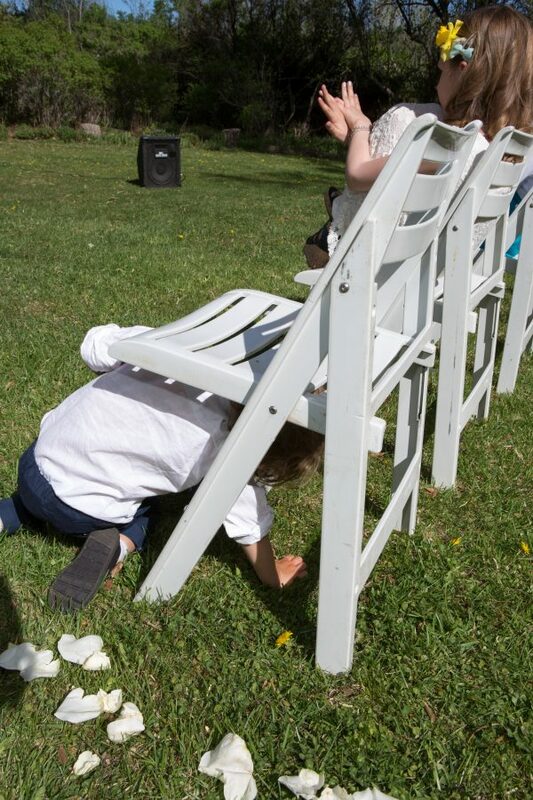 There was some serious corralling and herding of these kids…almost all made it up the aisle. 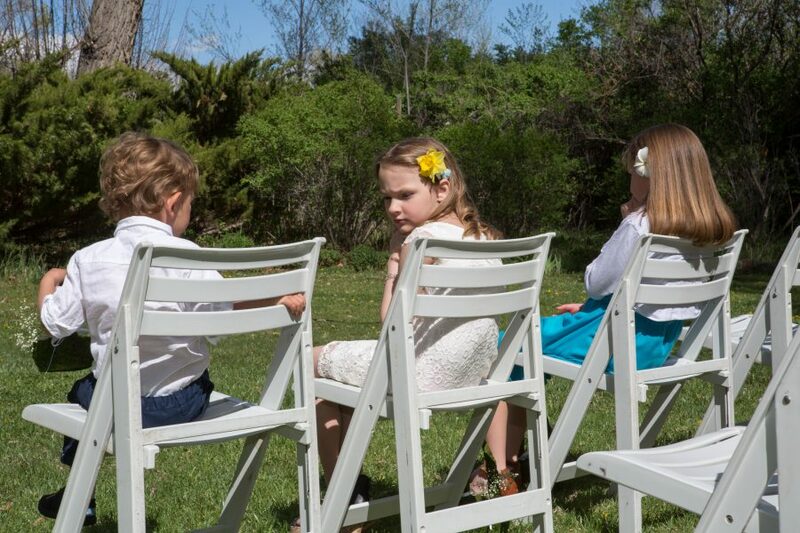 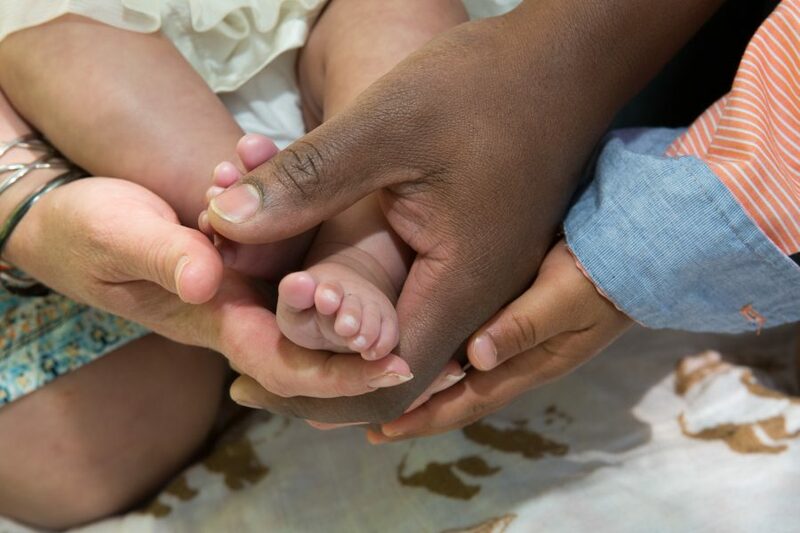 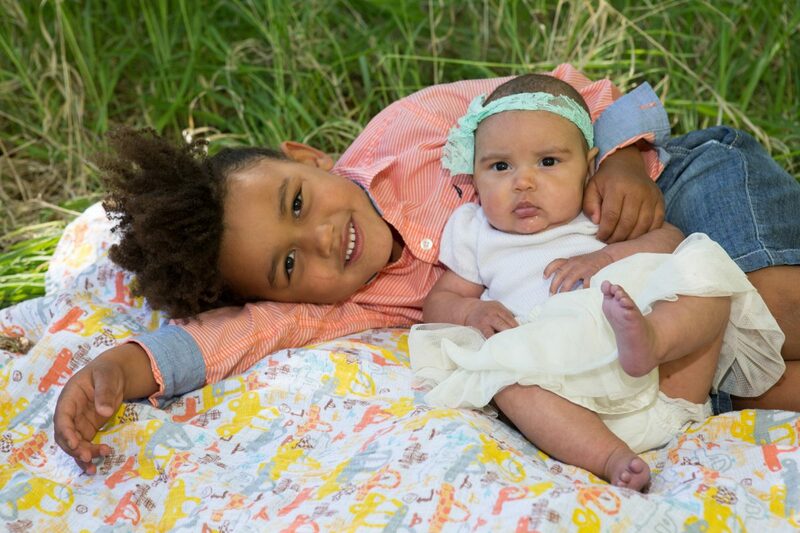 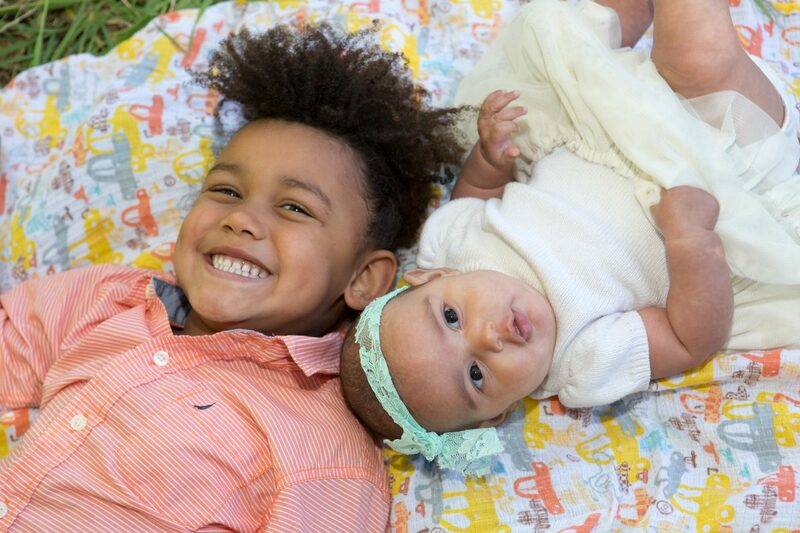 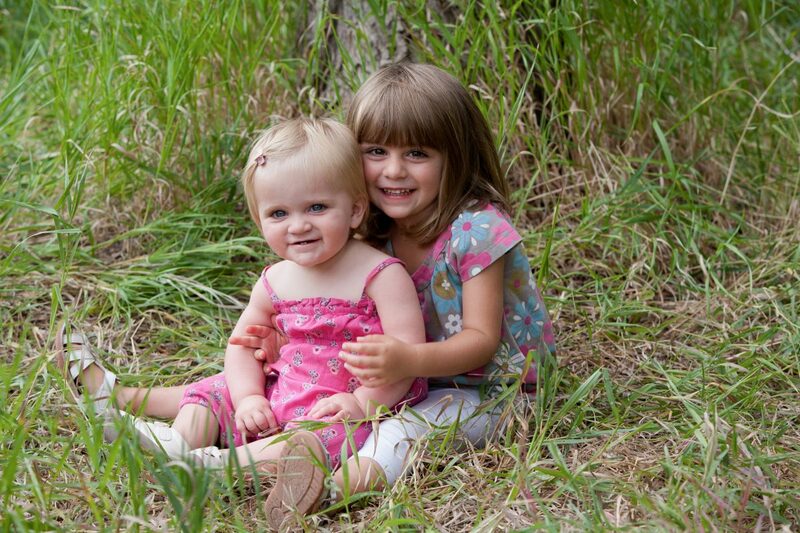 It was fun to watch the little ones throughout the rest of the ceremony as well. 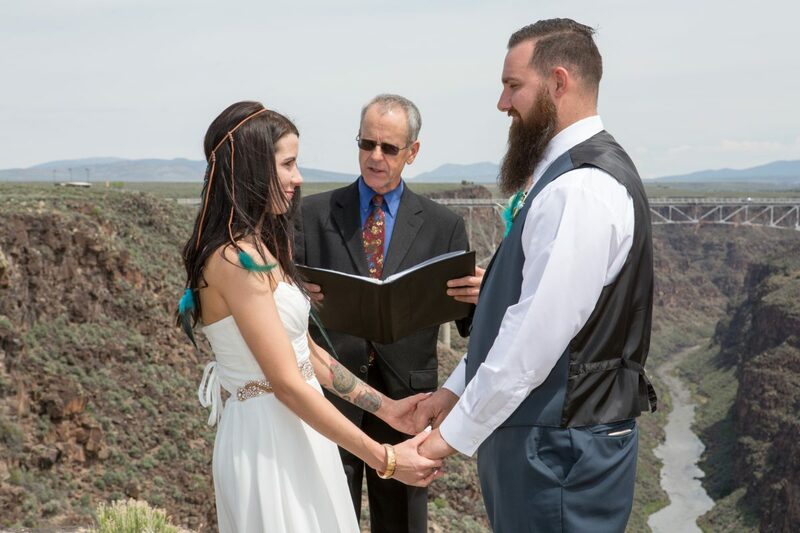 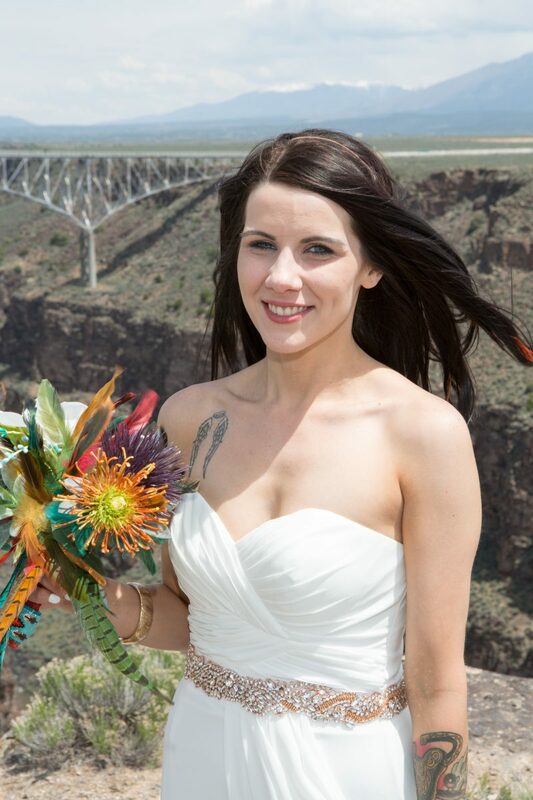 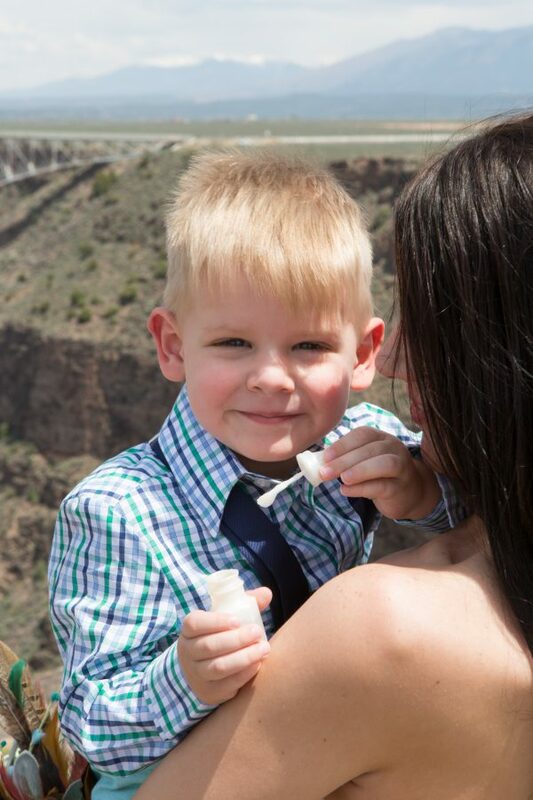 This bride and groom were given the gift of “perfect weather” on their wedding day. 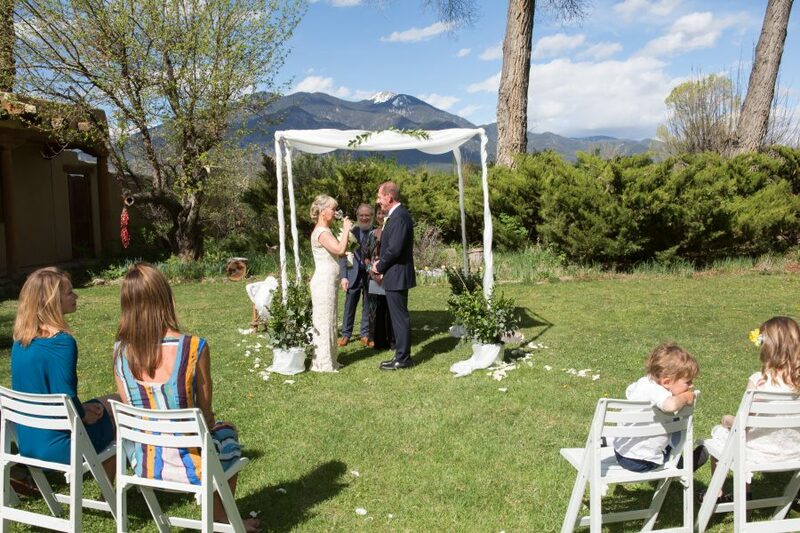 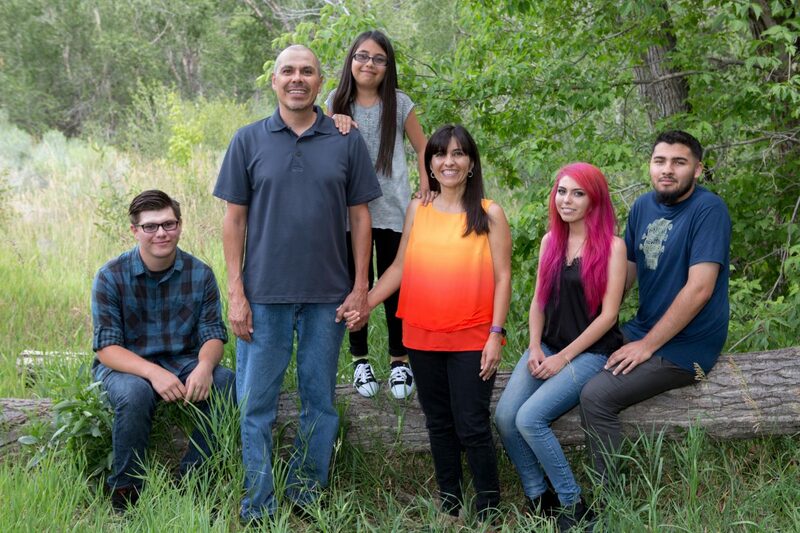 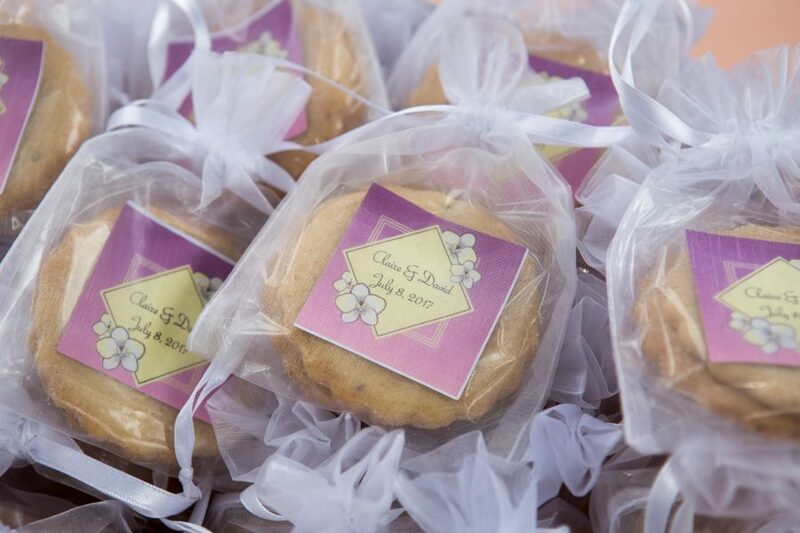 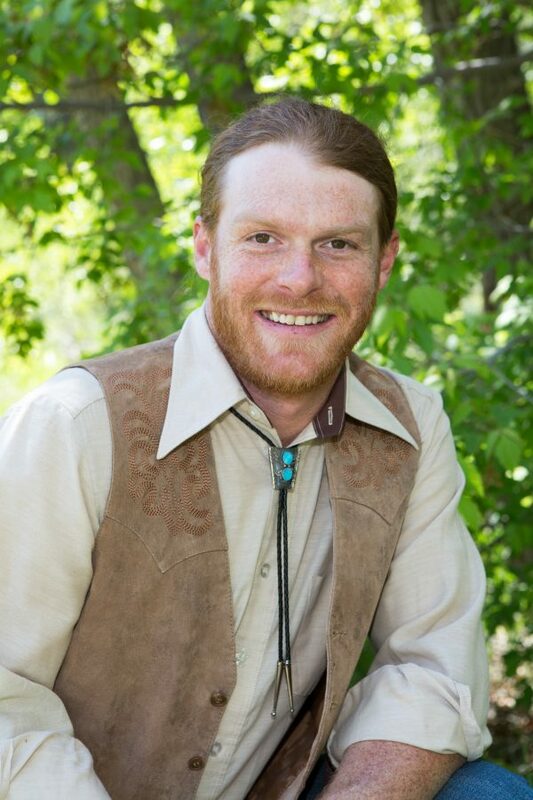 An early May wedding outdoors in Northern New Mexico can be a very unpredictable event. 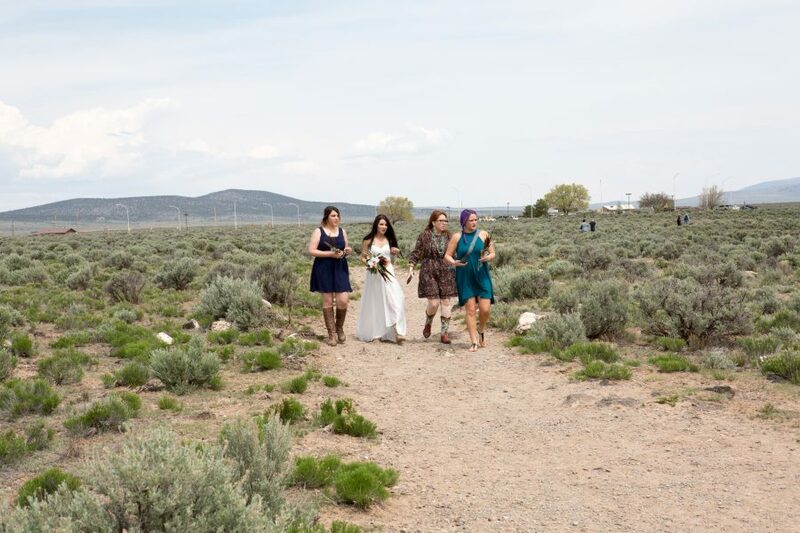 Thunderstorms with possible snow was forecast up until the night prior to the ceremony, and then the weather magically changed and we had sunshine instead! 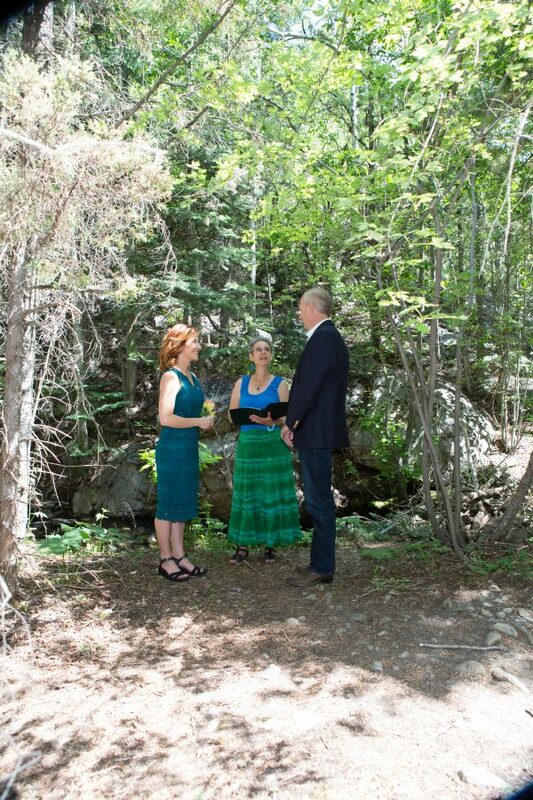 Jackie had her brother and her two best girlfriends stand up at the altar with her. 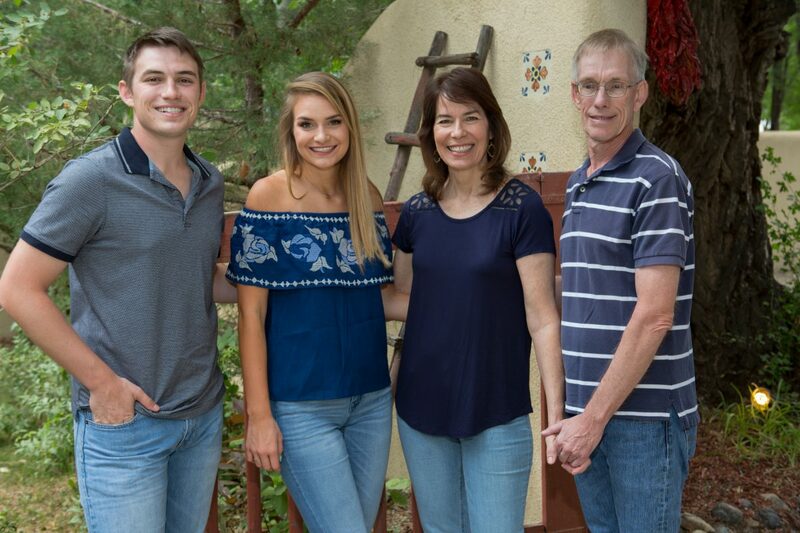 Tyler had his father and son, Anakin, stand up with him. 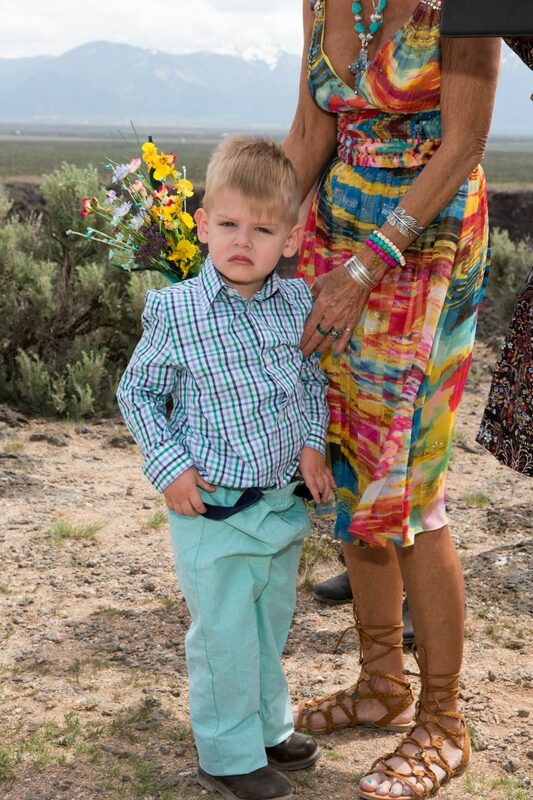 Anakin was not happy with his suspenders and chose to hangout with his grandma instead. 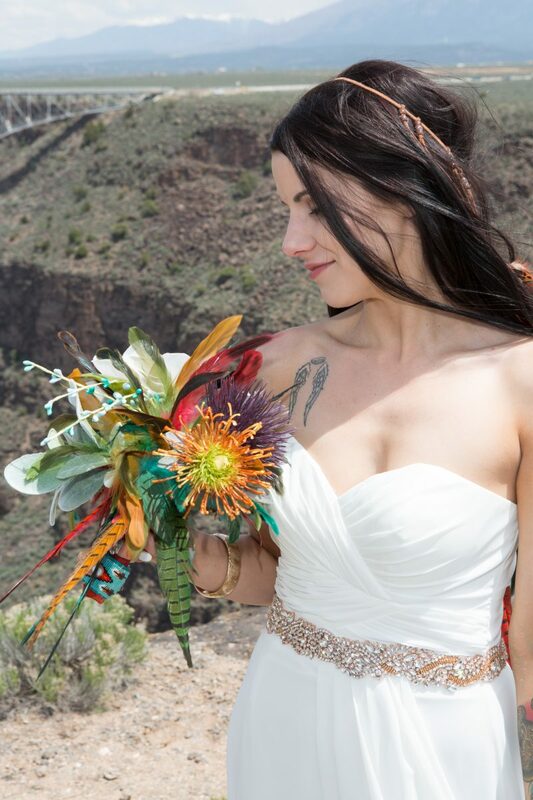 Turkey vultures circled overhead and a warm breeze made the bride’s hairpiece and dress dance so appropriately. 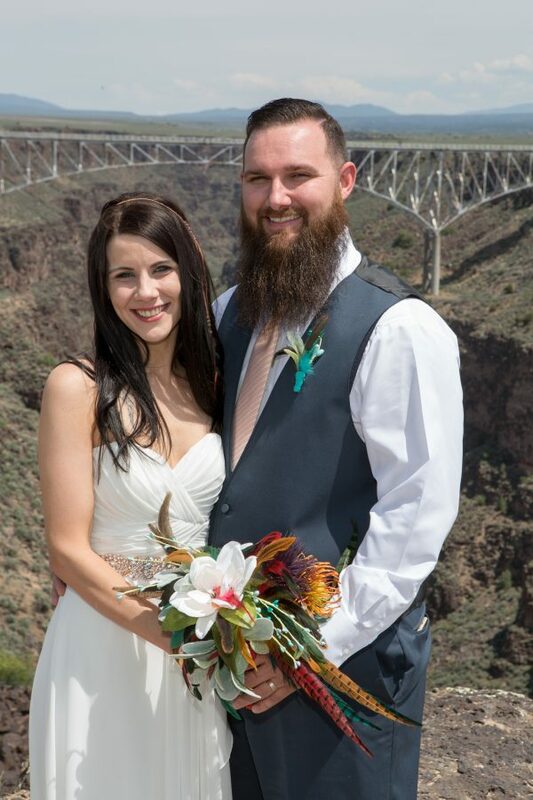 Congratulations to these newlyweds!